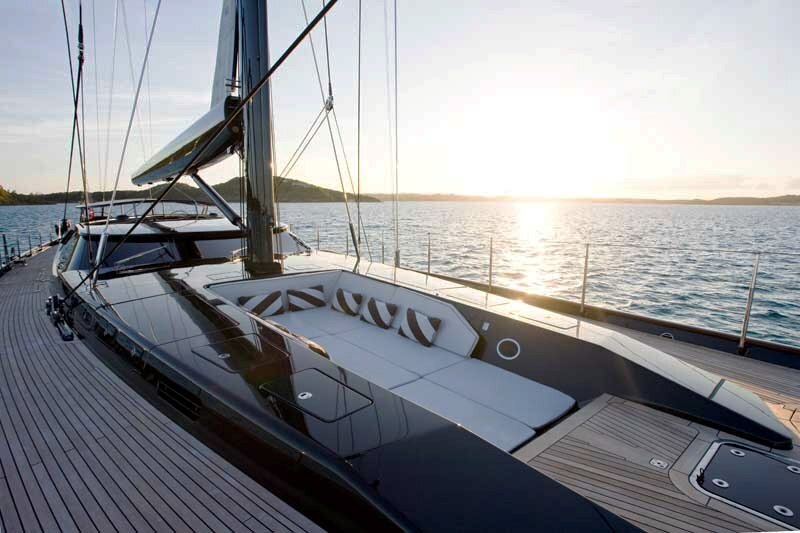 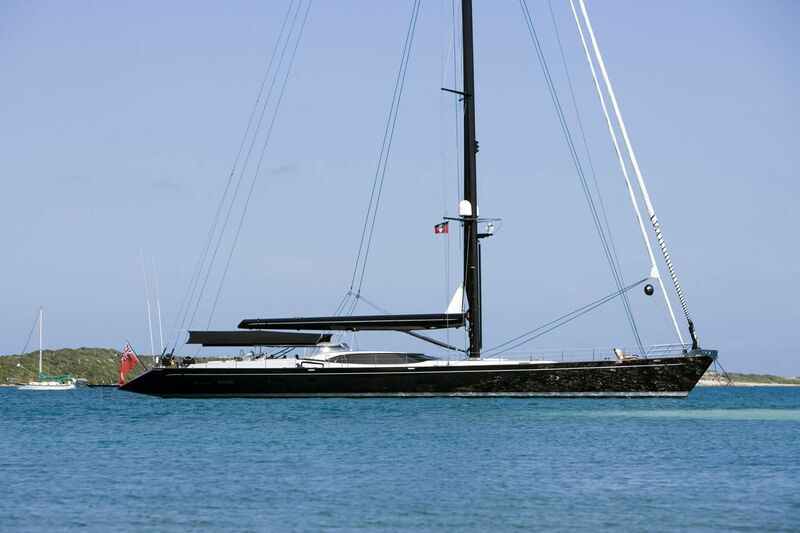 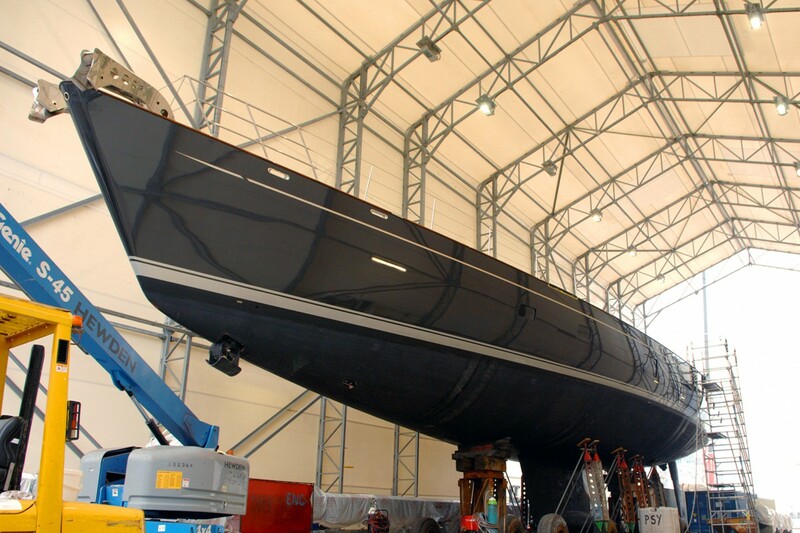 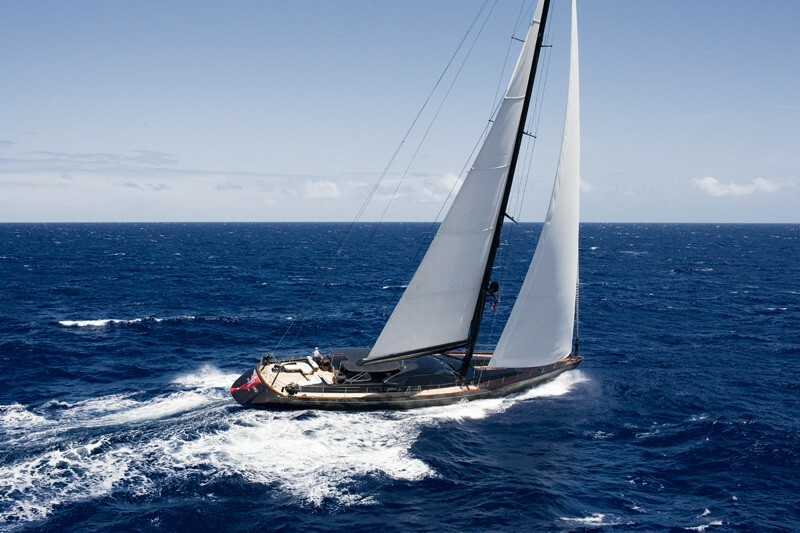 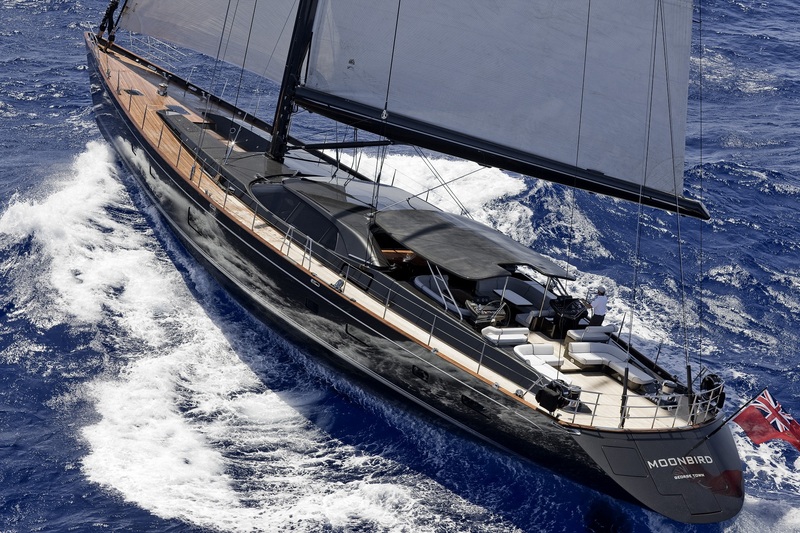 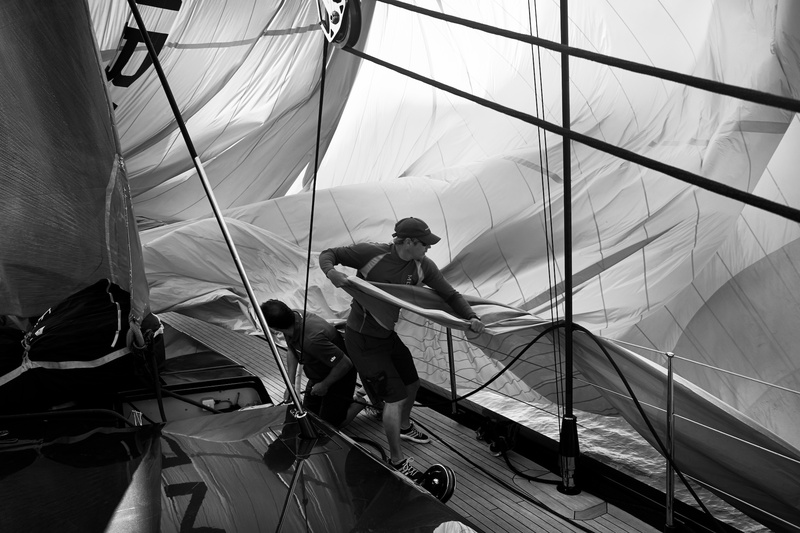 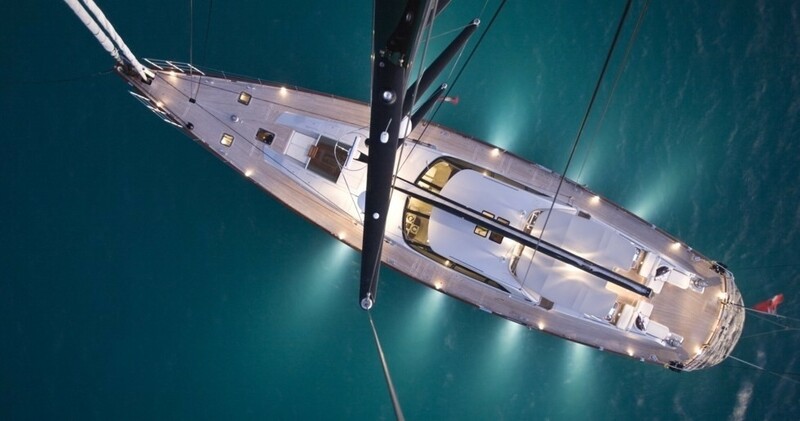 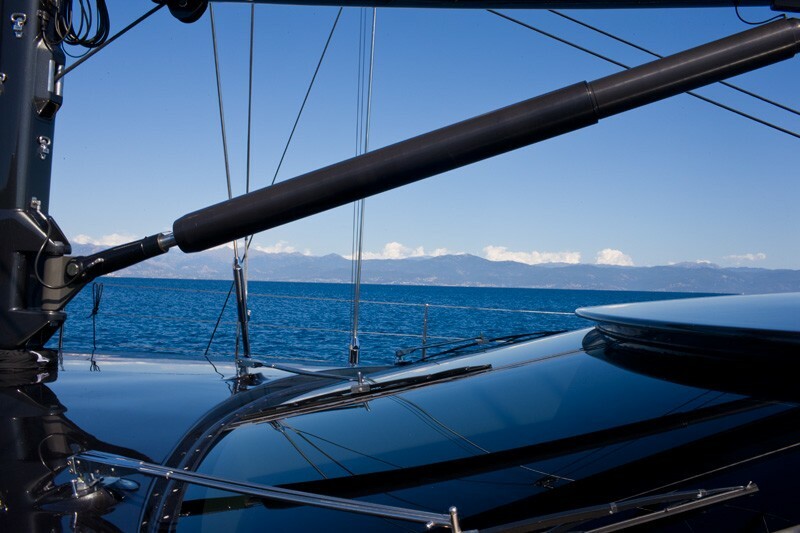 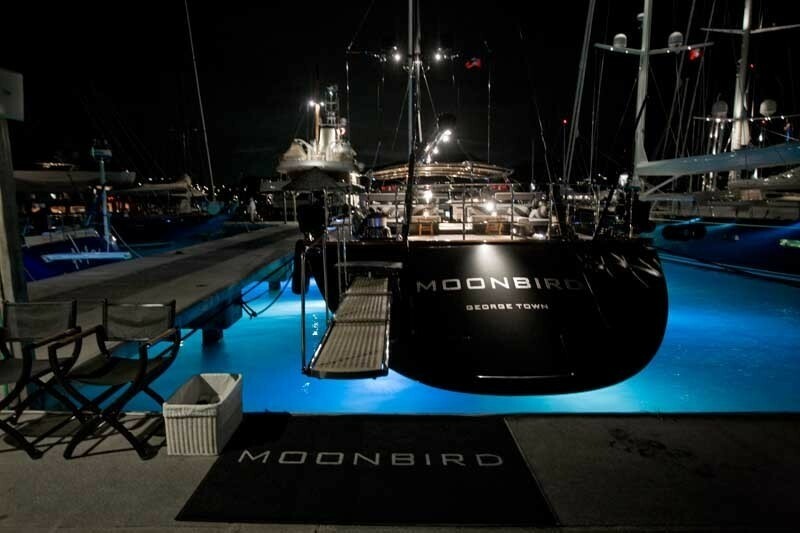 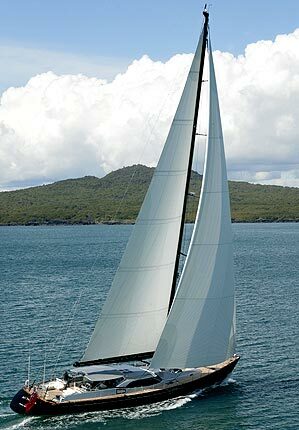 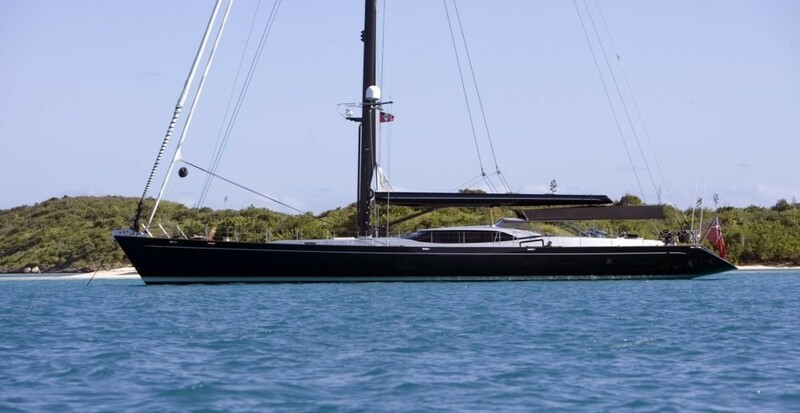 Luxury sailing yacht Moonbird (ex ‘Midnight’) was designed by Dubois Naval Architects and built by Fitzroy Yachts in New Zealand. 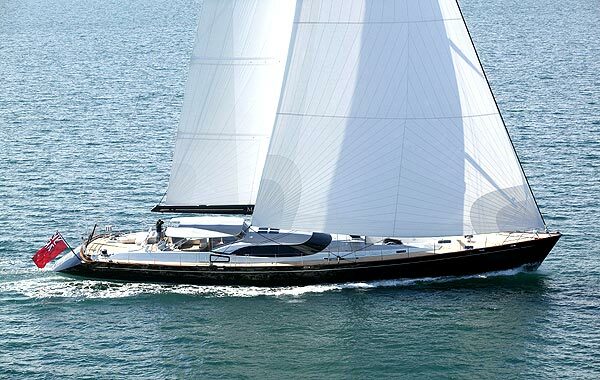 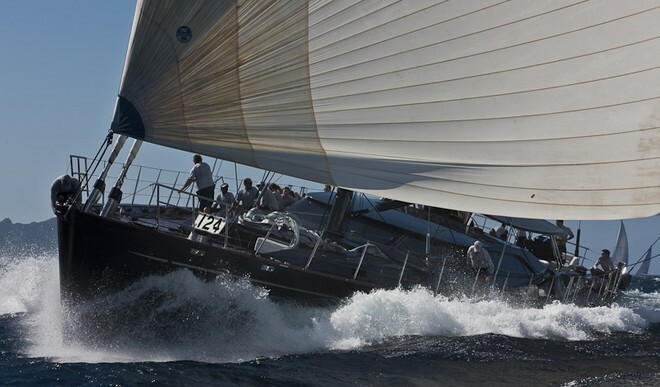 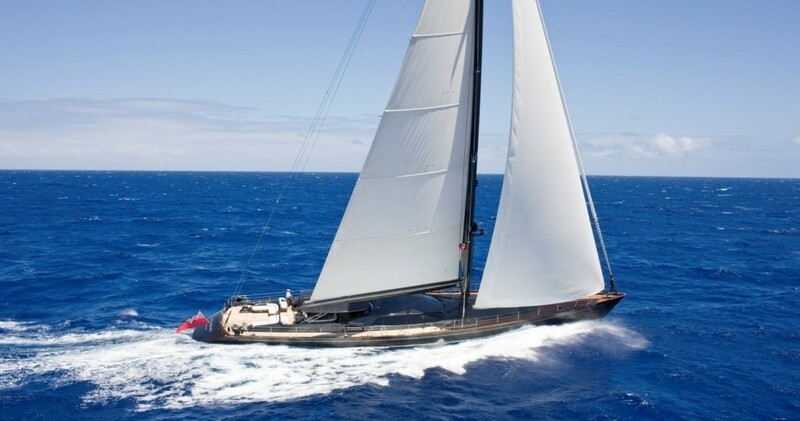 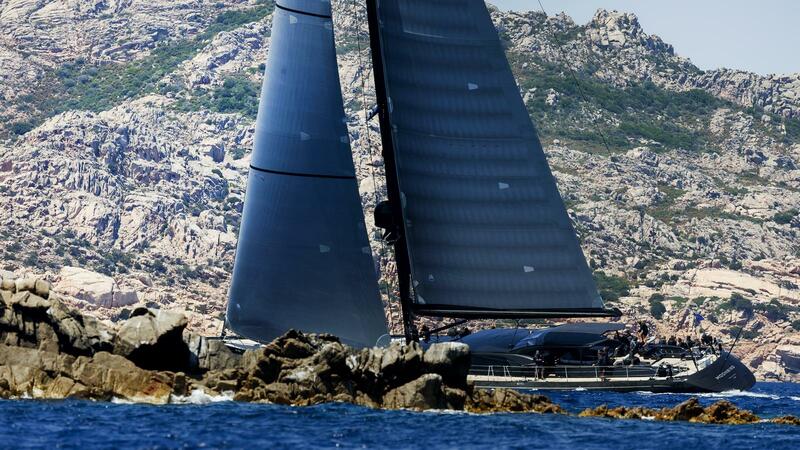 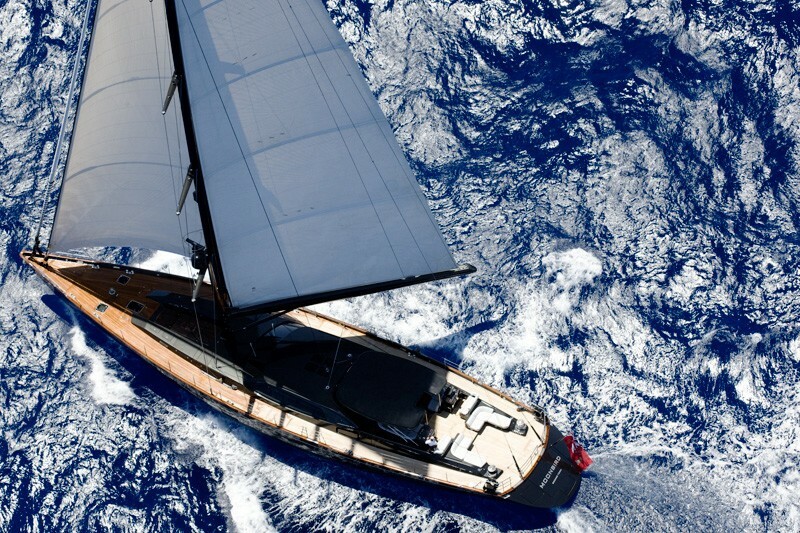 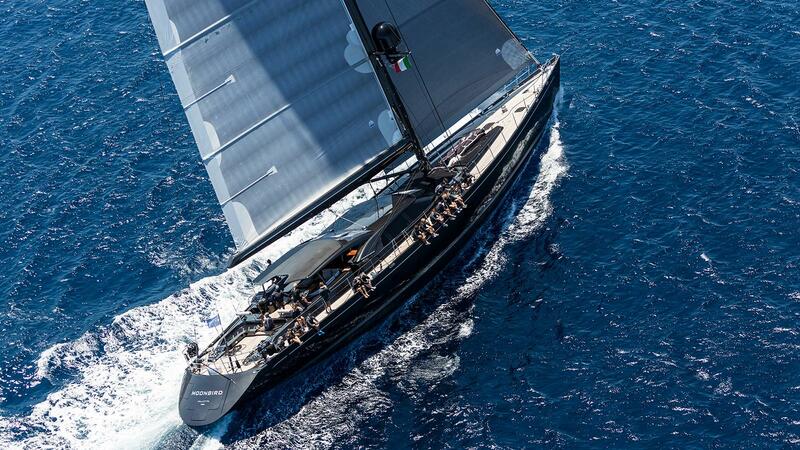 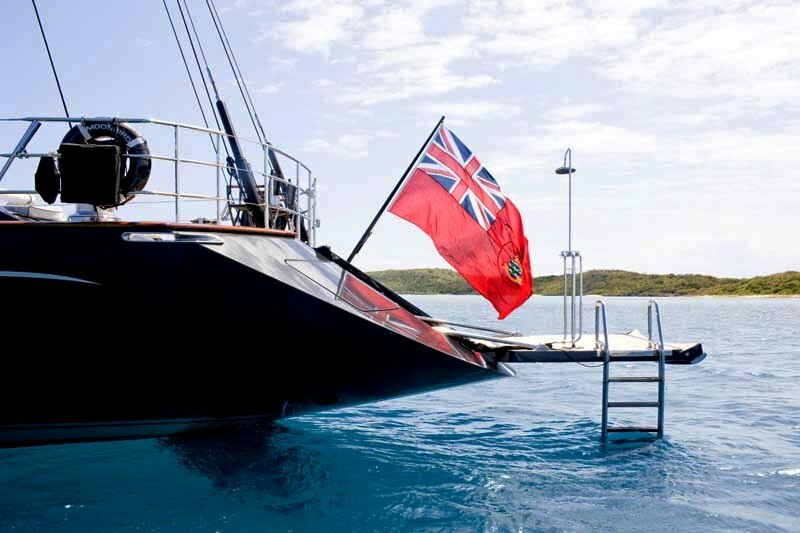 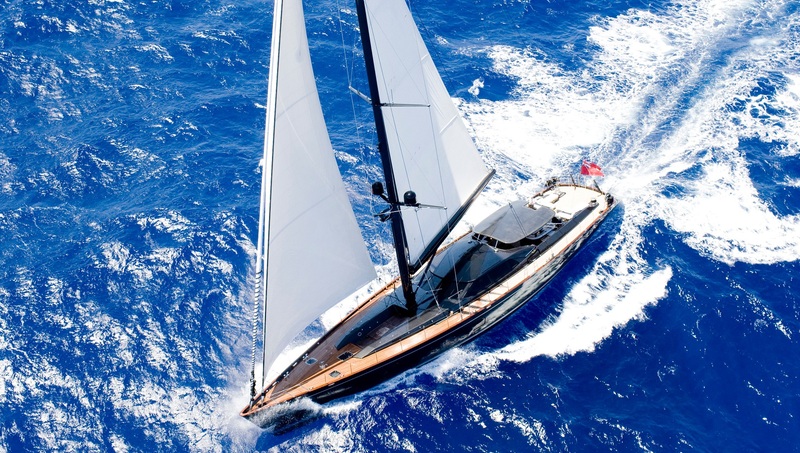 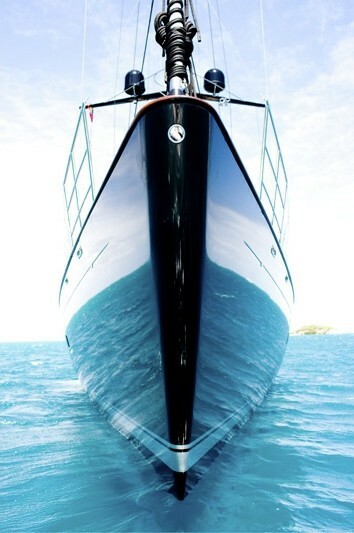 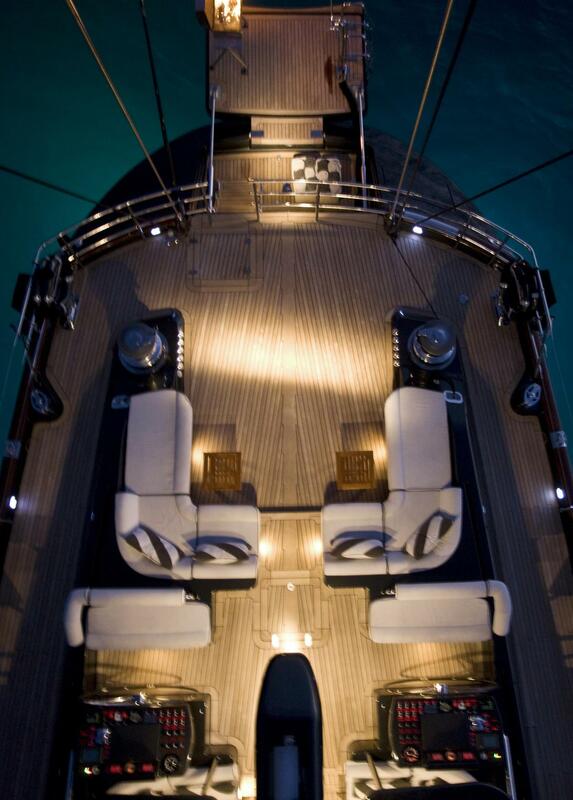 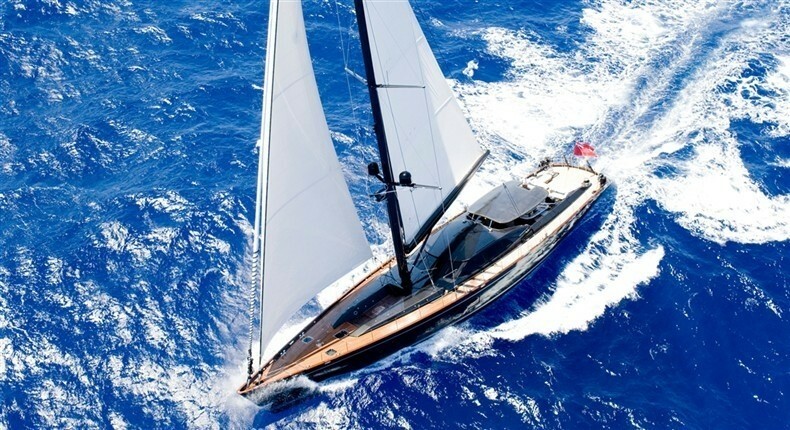 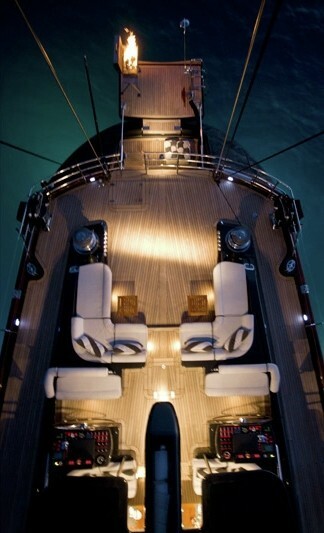 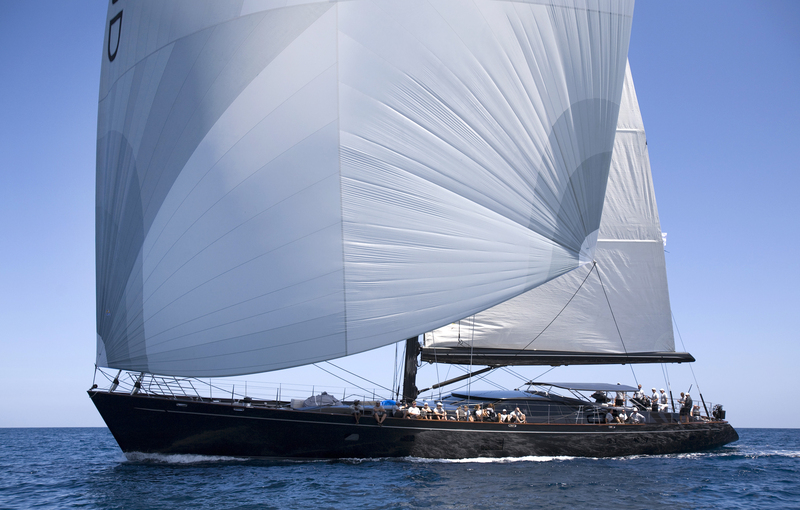 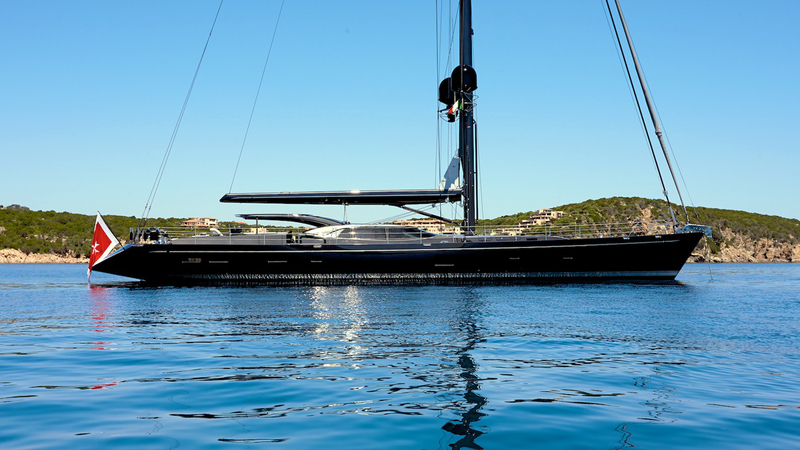 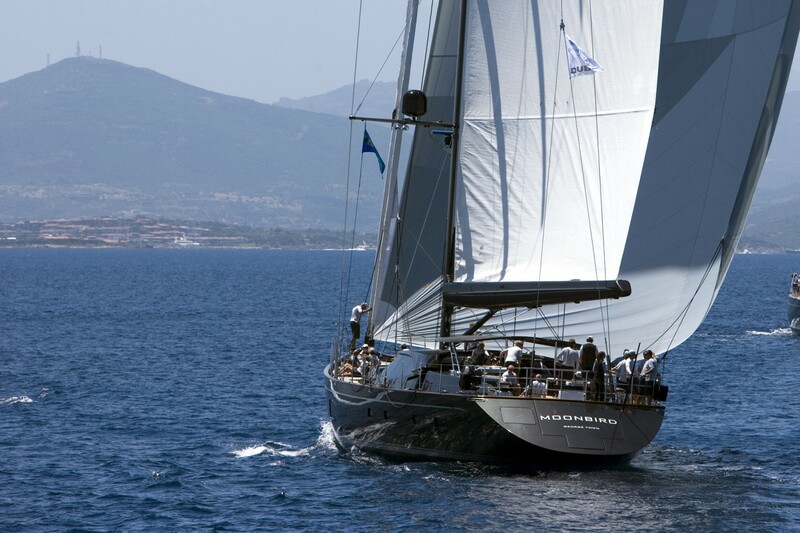 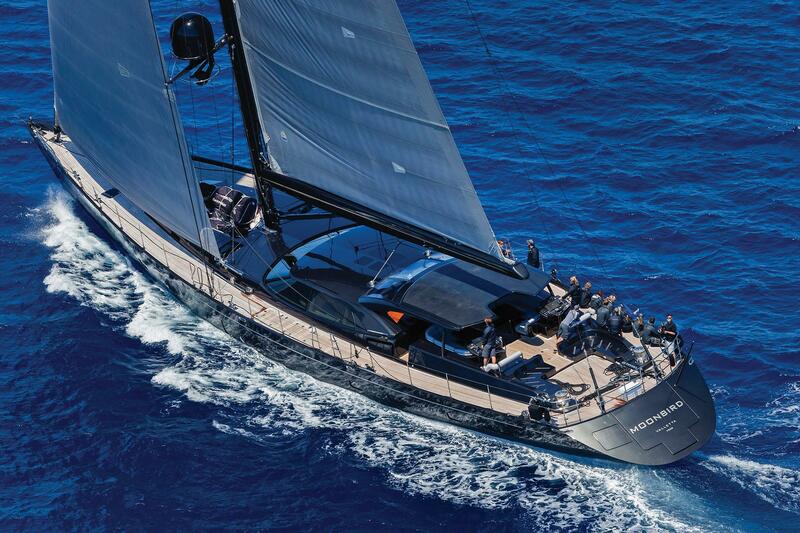 She has striking looks and first class pedigree, and she has unmatched appeal as a charter yacht. 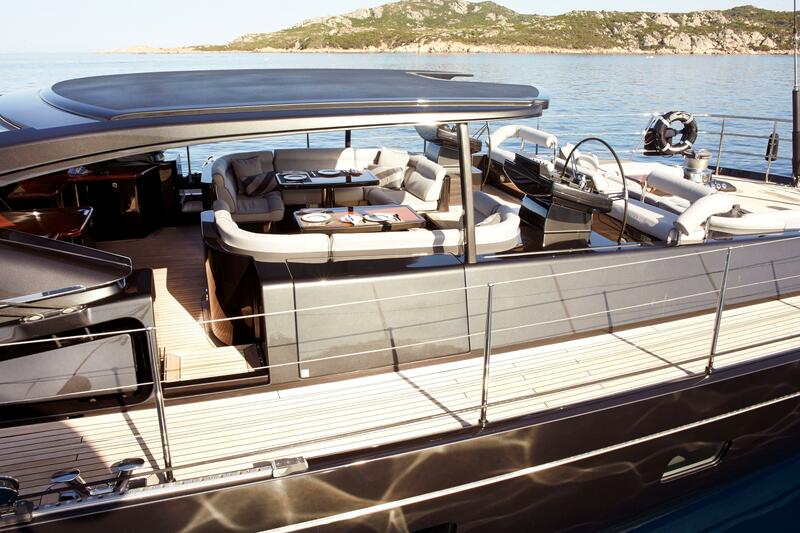 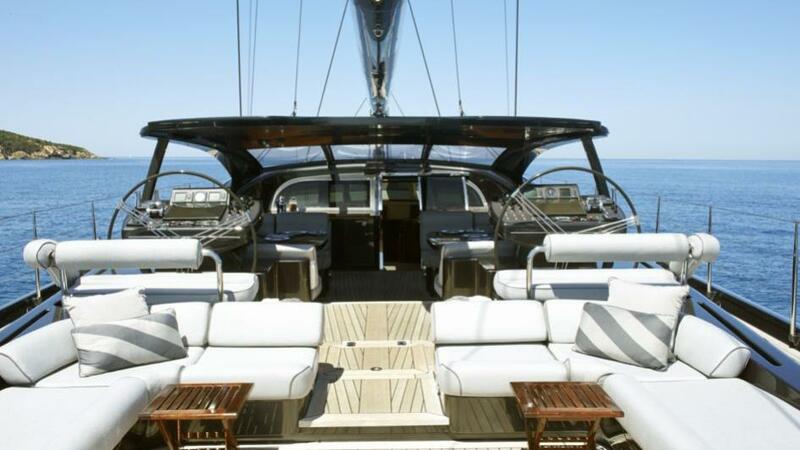 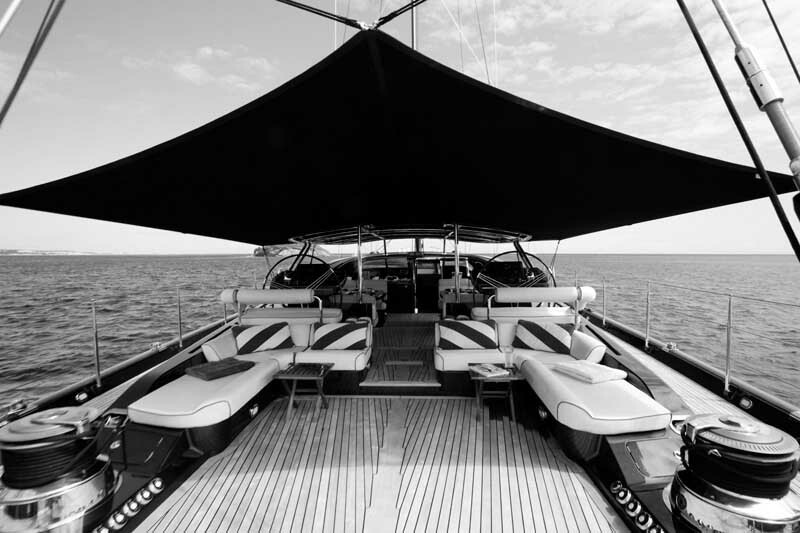 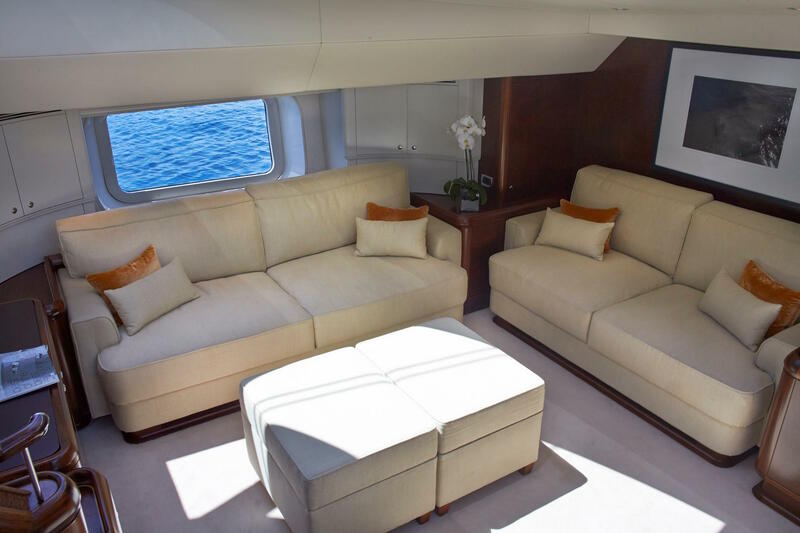 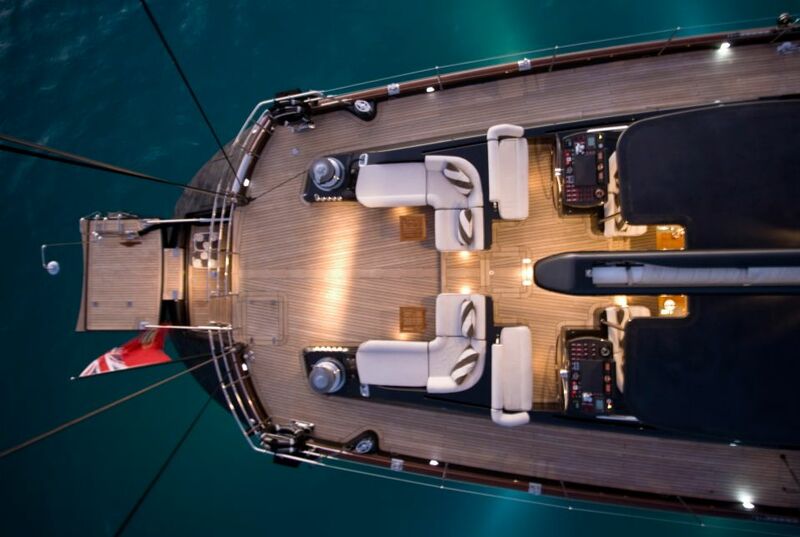 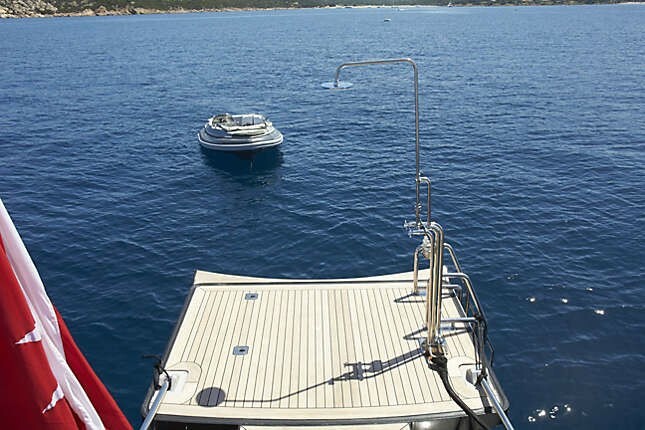 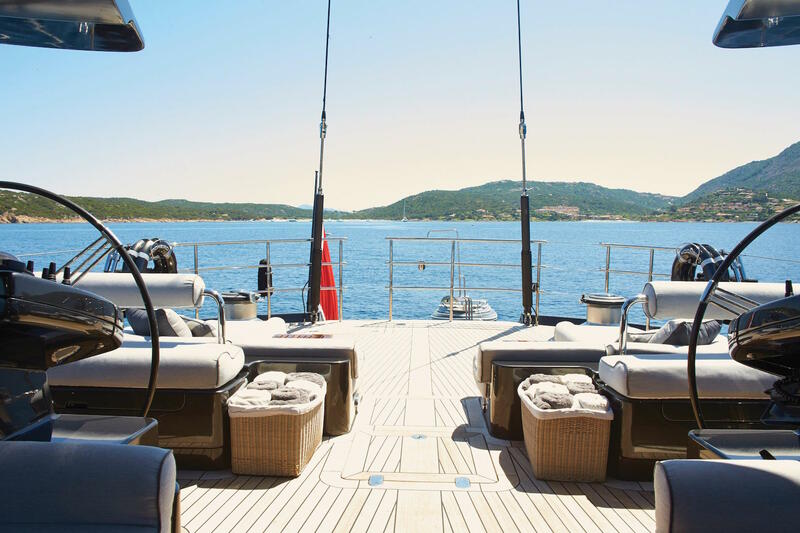 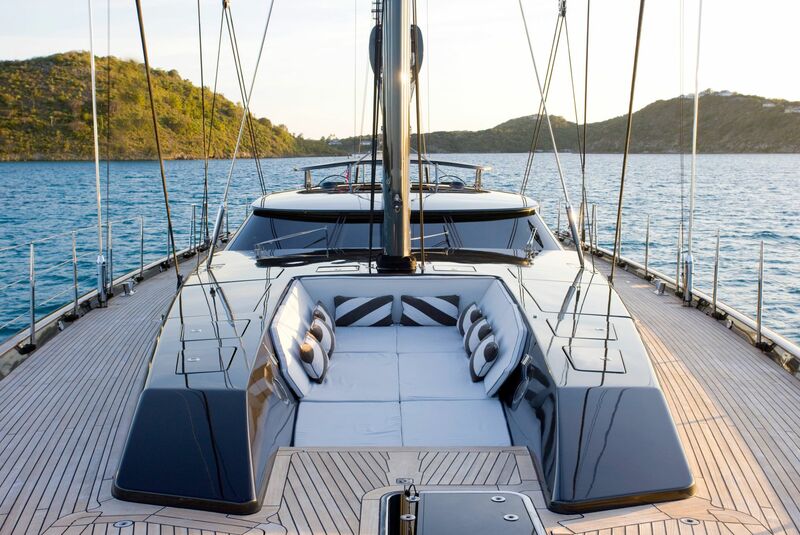 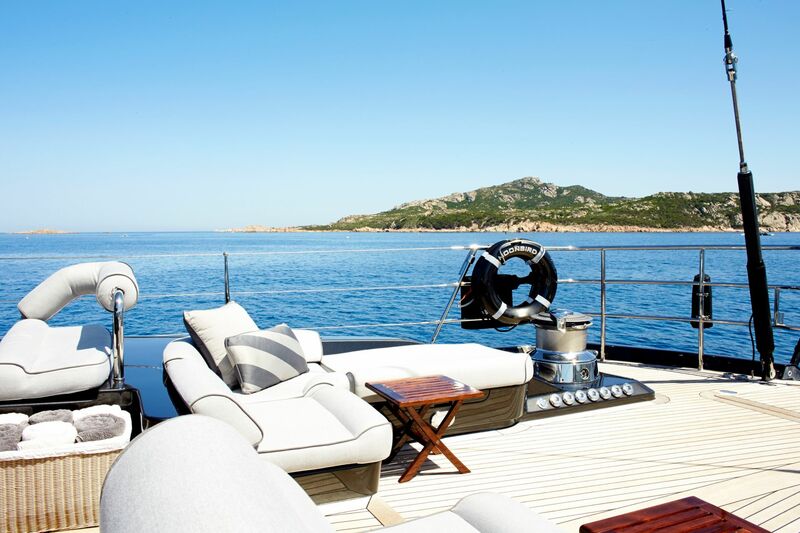 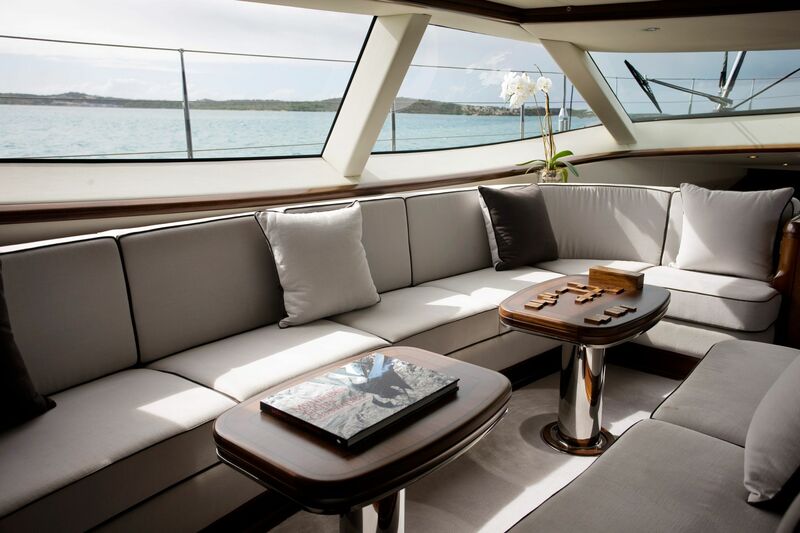 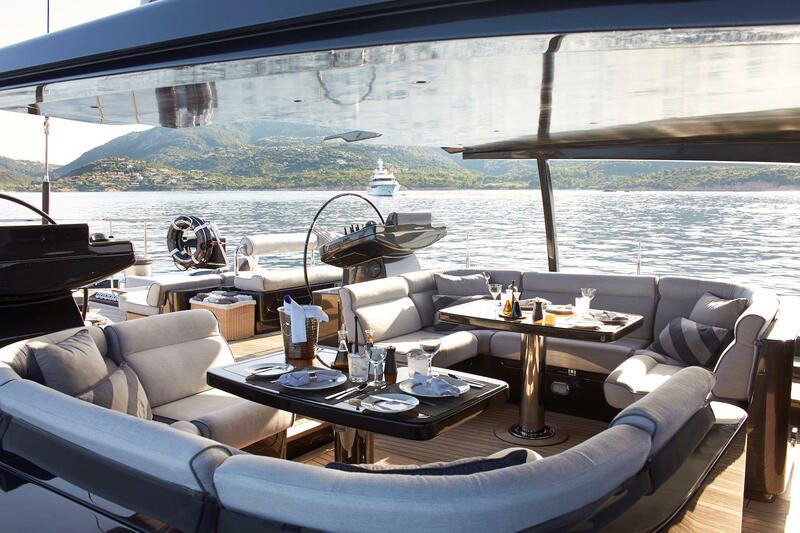 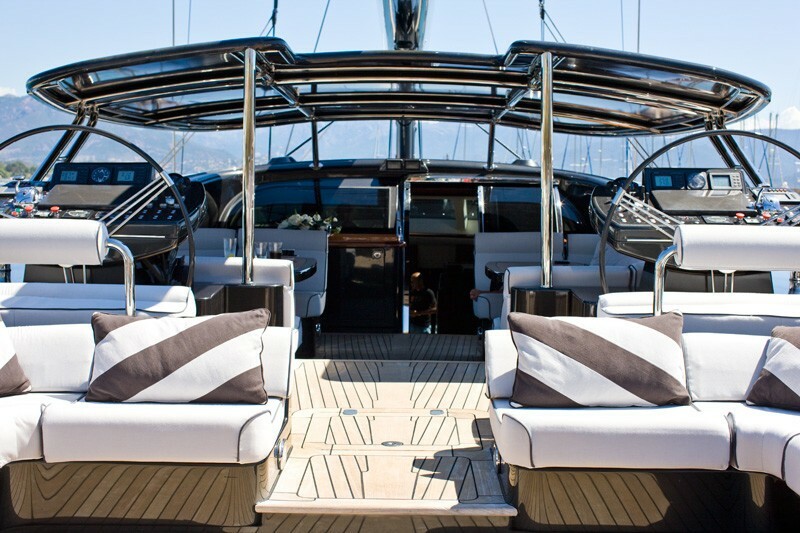 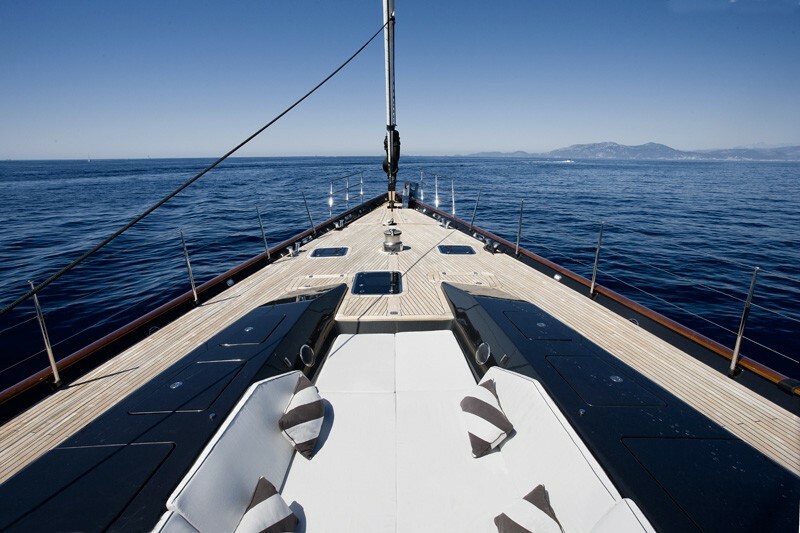 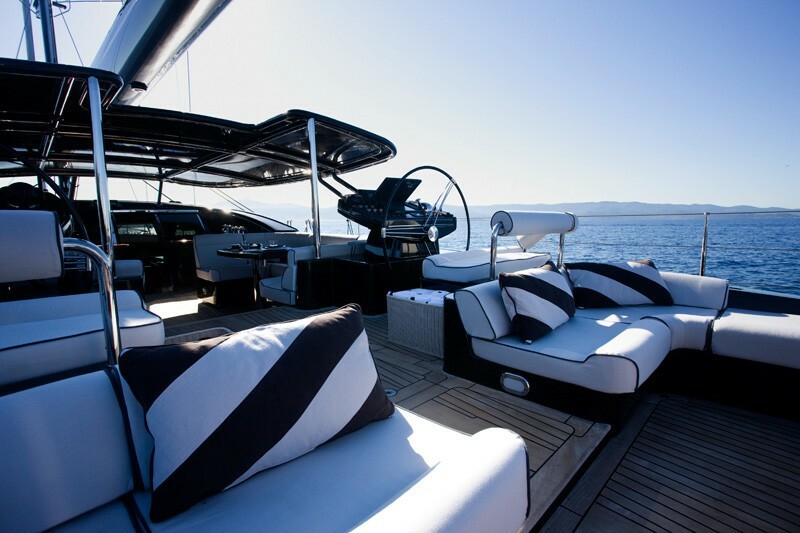 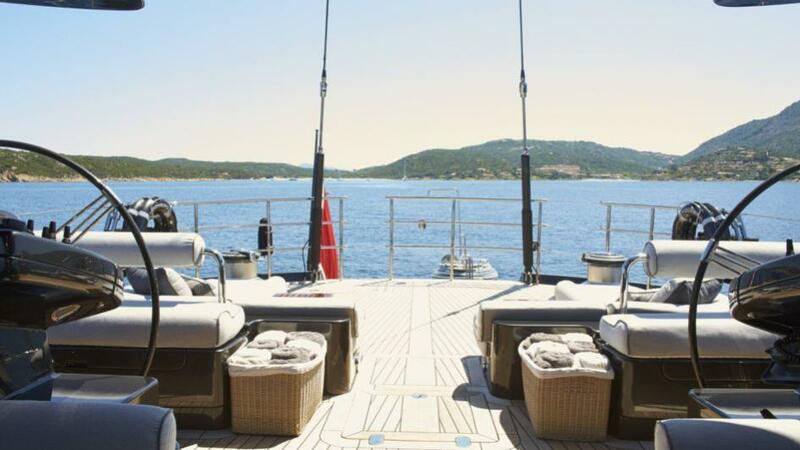 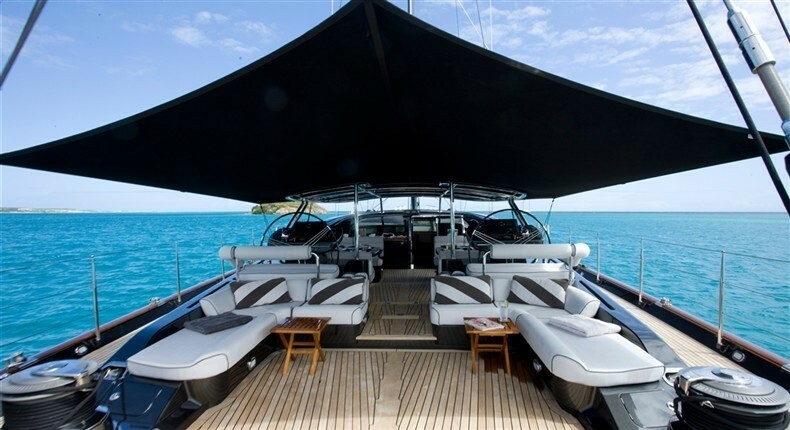 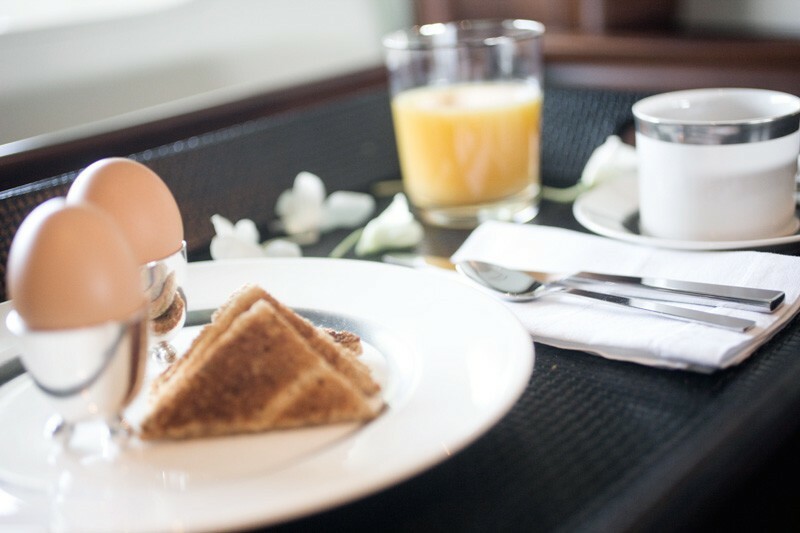 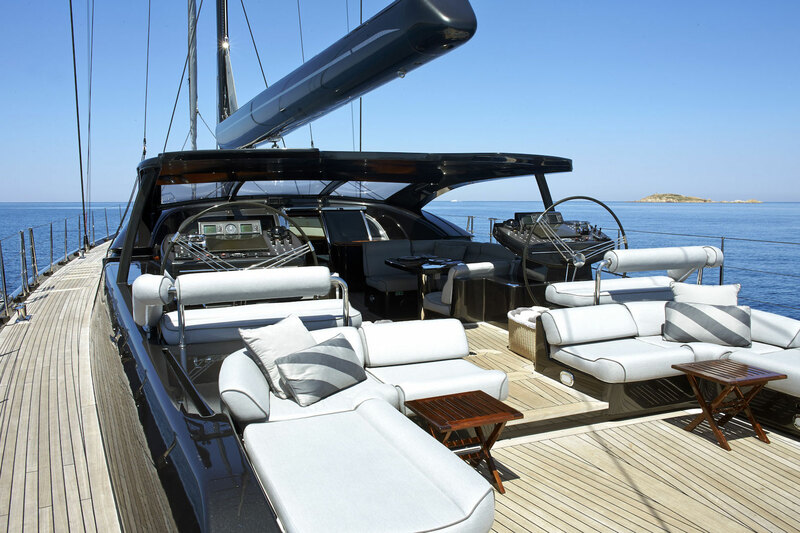 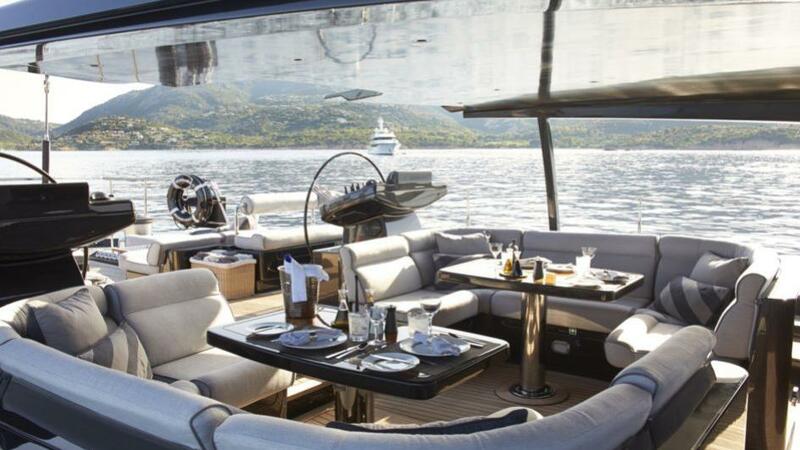 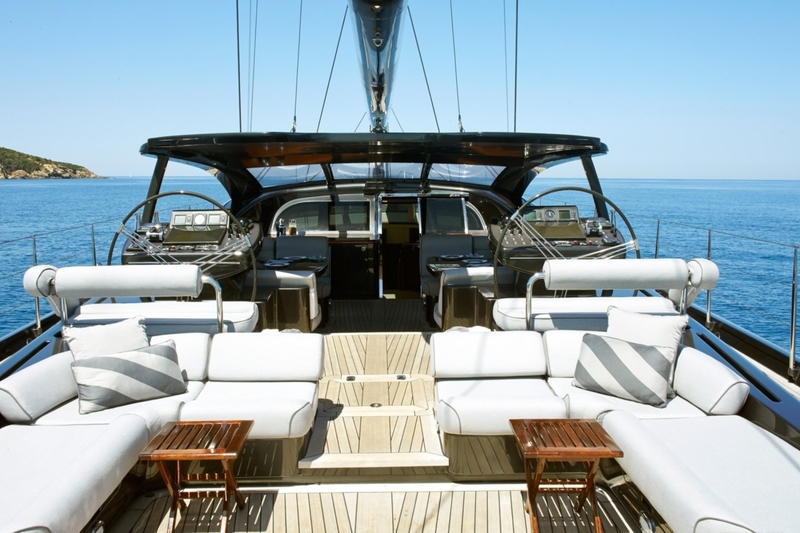 A particular attention has been given to the deck layout including two expansive cushioned seating areas, one on the aft deck and the other forward of the Spa Pool, which also includes the additional benefit of a luxurious sun pad. 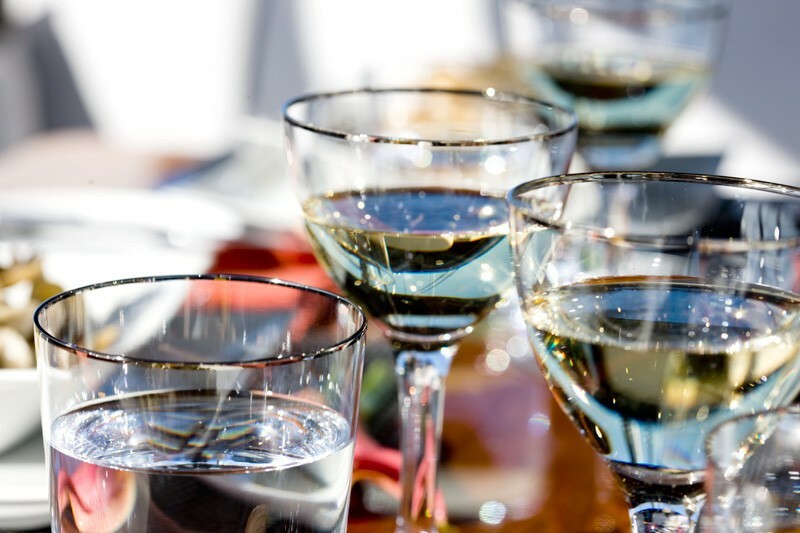 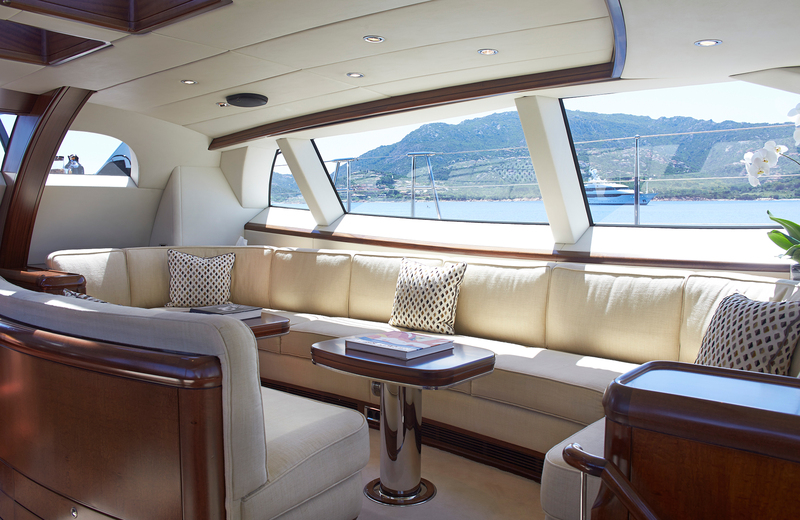 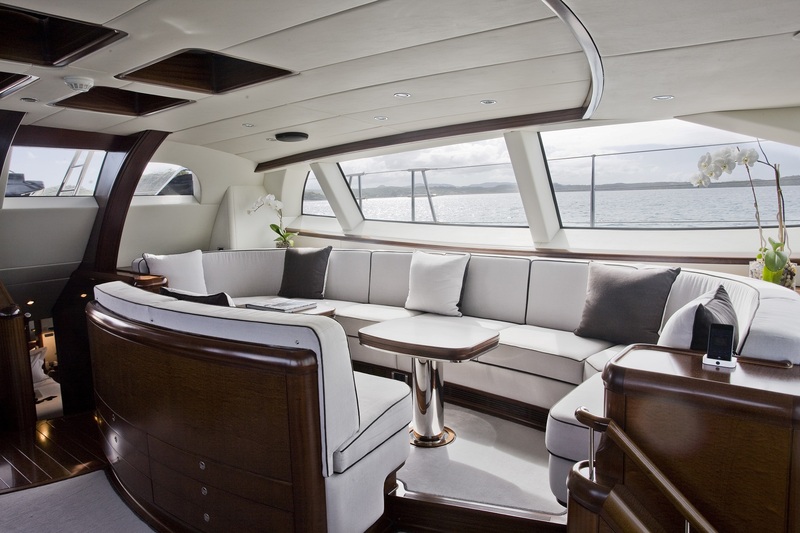 She has excellent capacity for both formal and informal entertaining is provided in the pilothouse bar, in sumptuous blue leather, and the comfortable and stylish lower saloon and dining room. 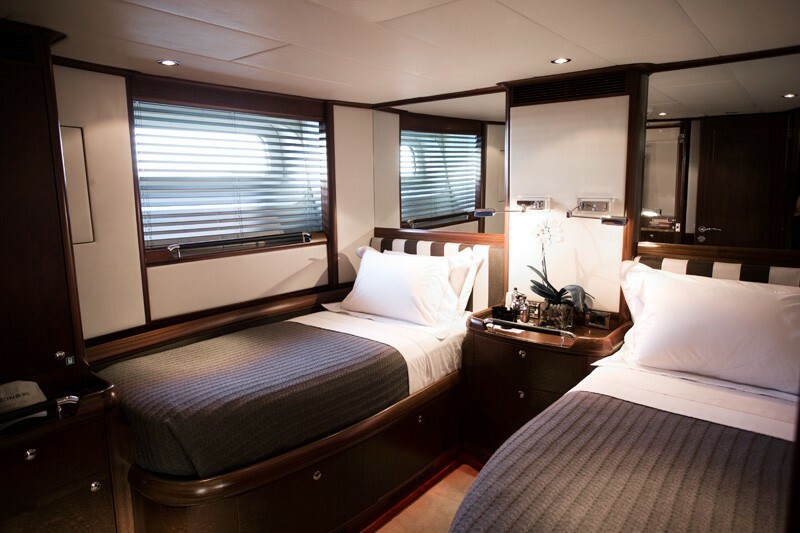 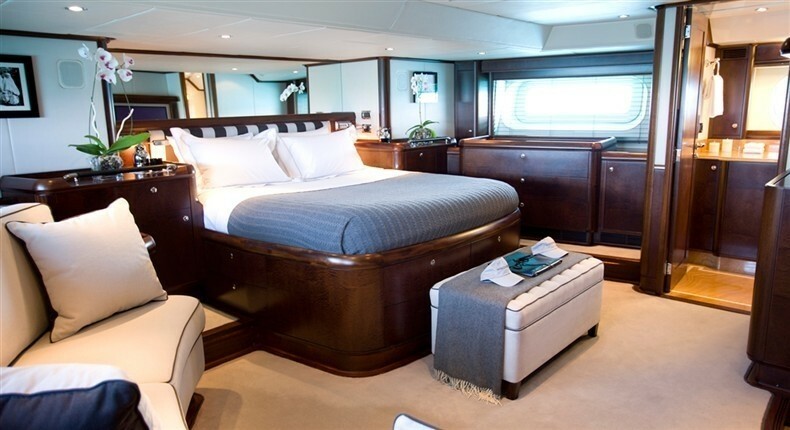 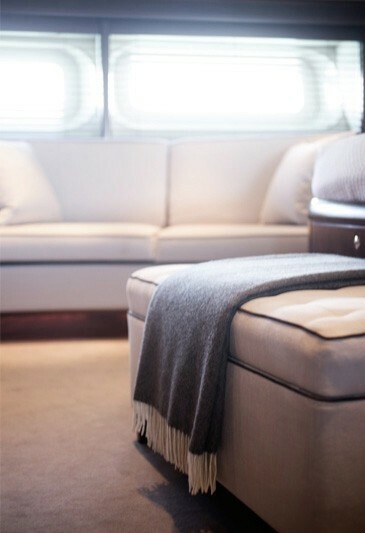 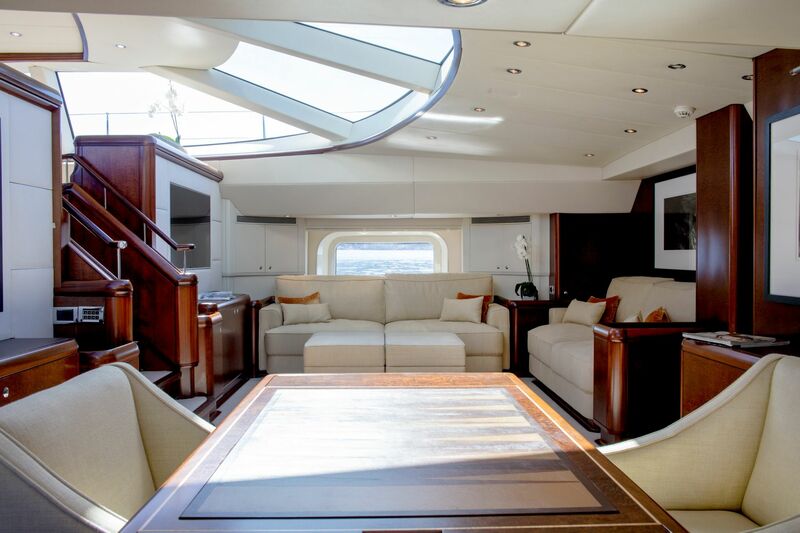 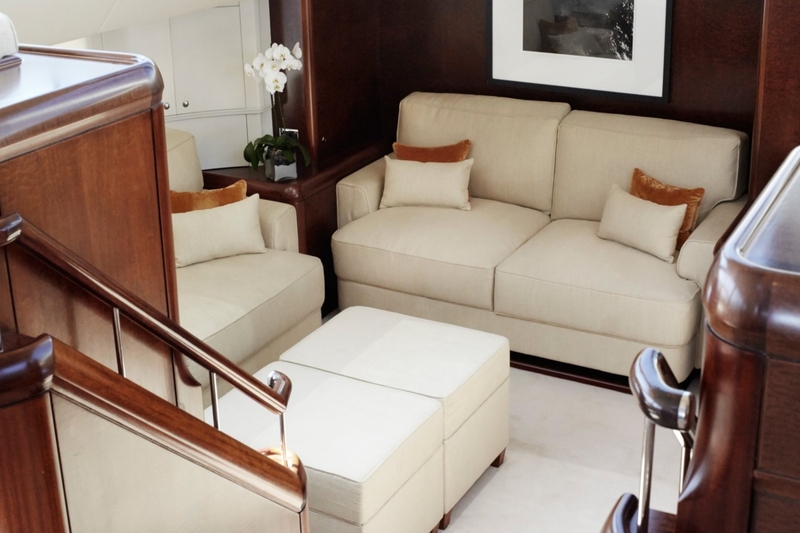 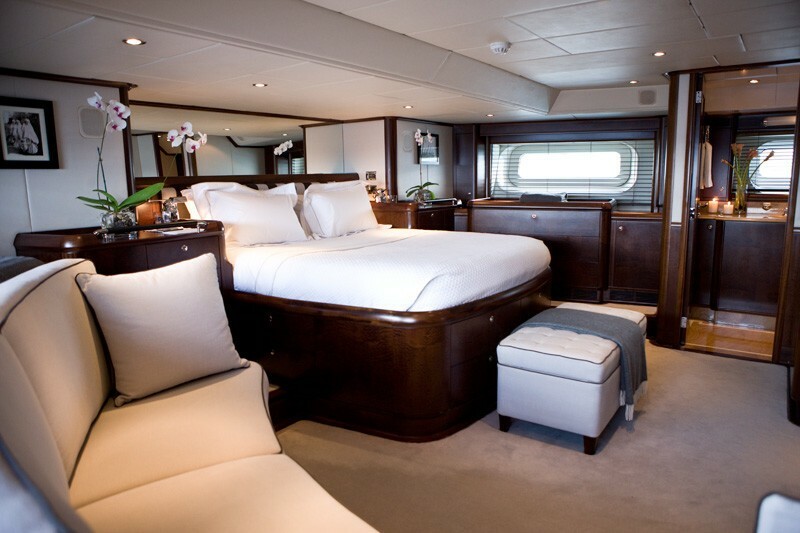 S/Y Moonbird’s elegant interior by Rhoades Young Design features polished mahogany timber, exquisite European fabrics, French upholstery and customised carpets. 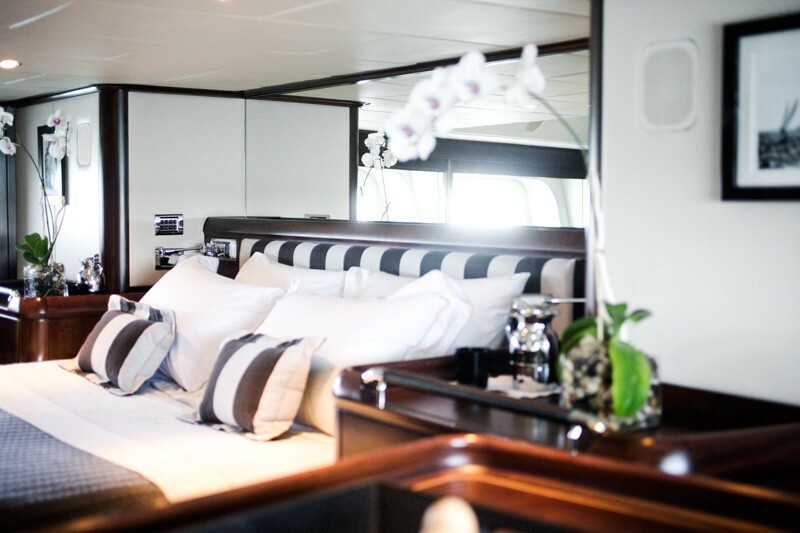 She boasts generous accommodation for eight guests in three cabins including a full-width master cabin with marble shower room en-suite. 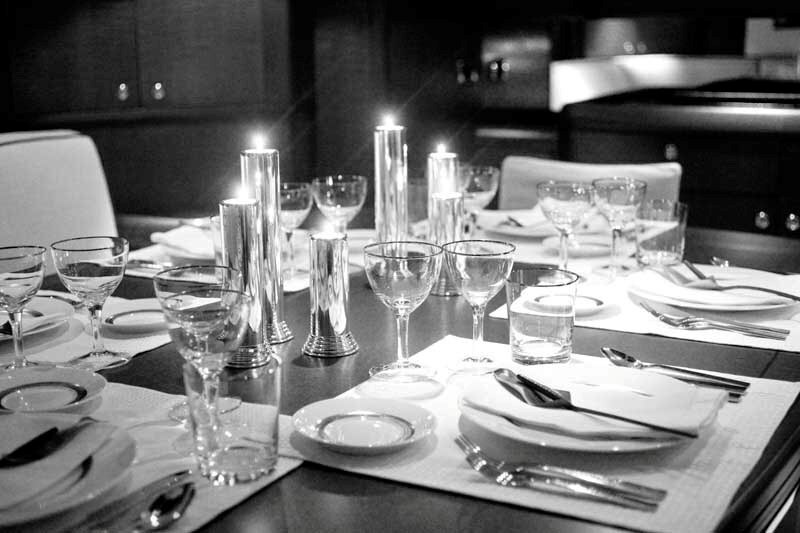 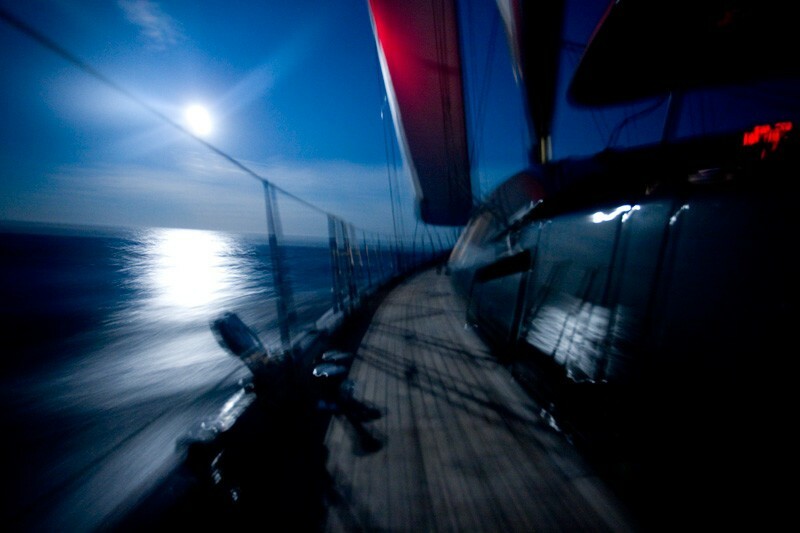 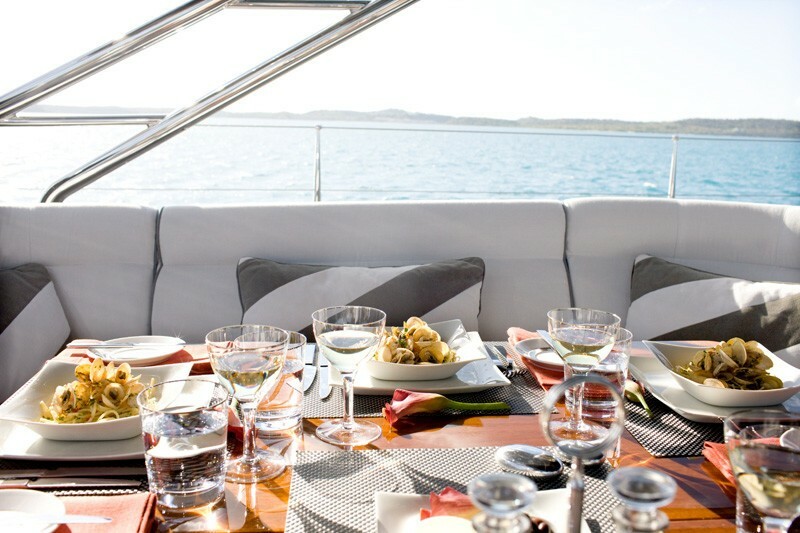 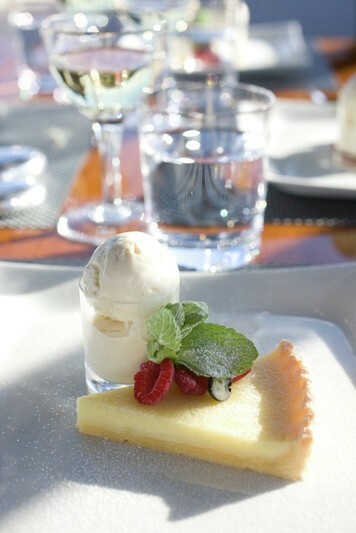 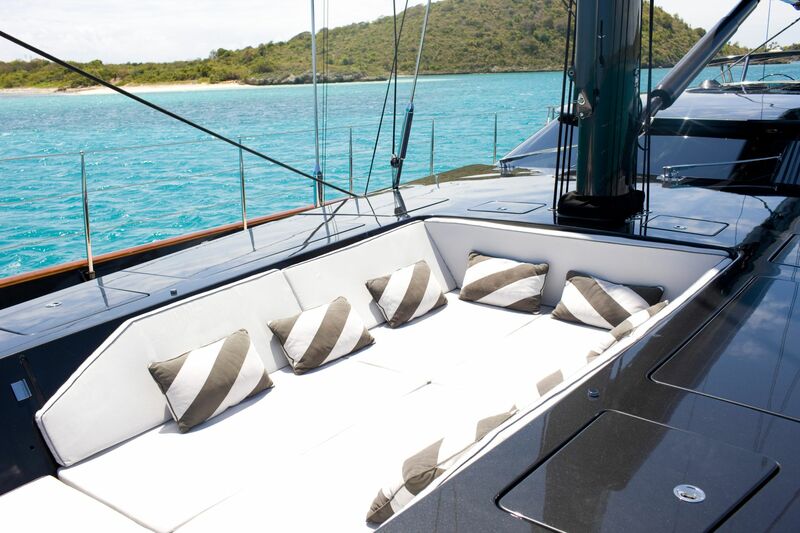 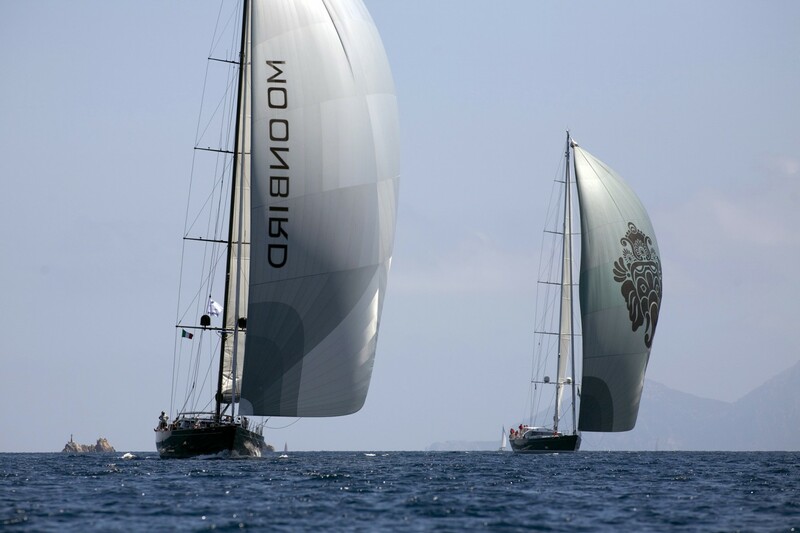 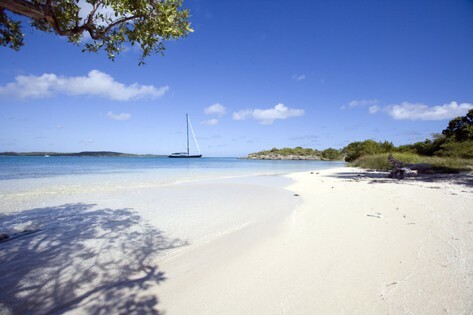 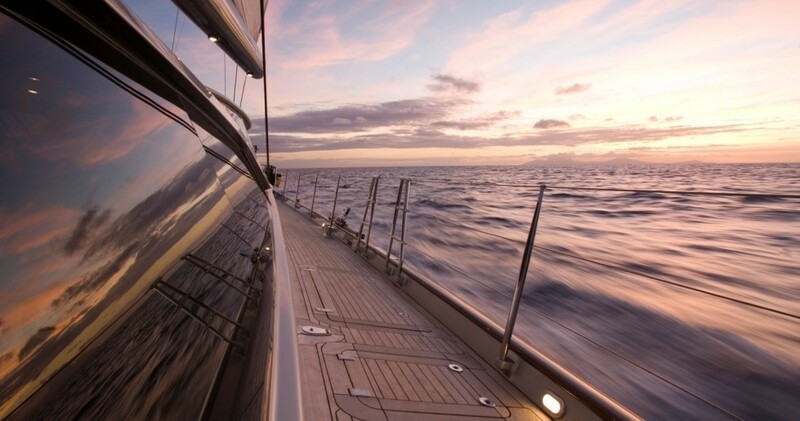 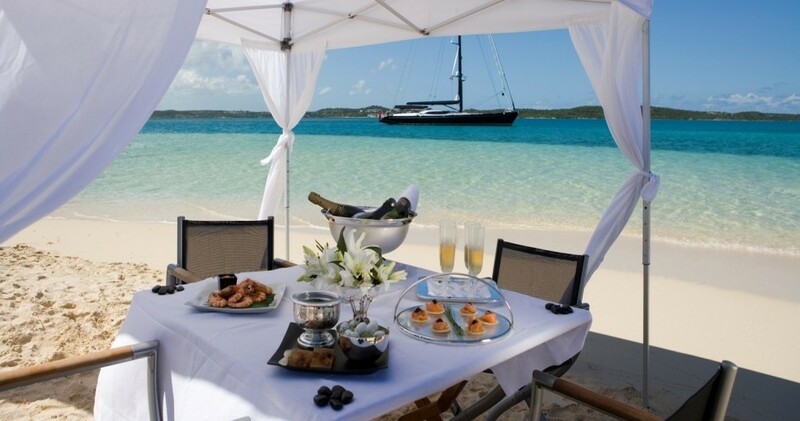 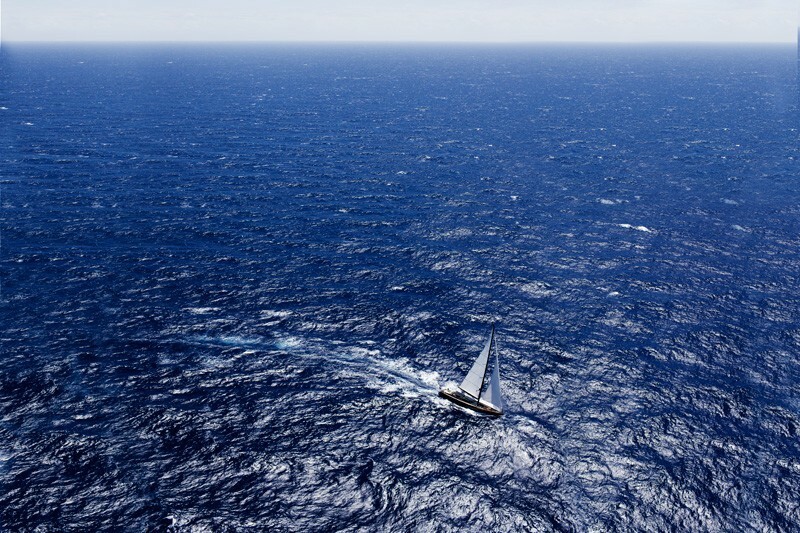 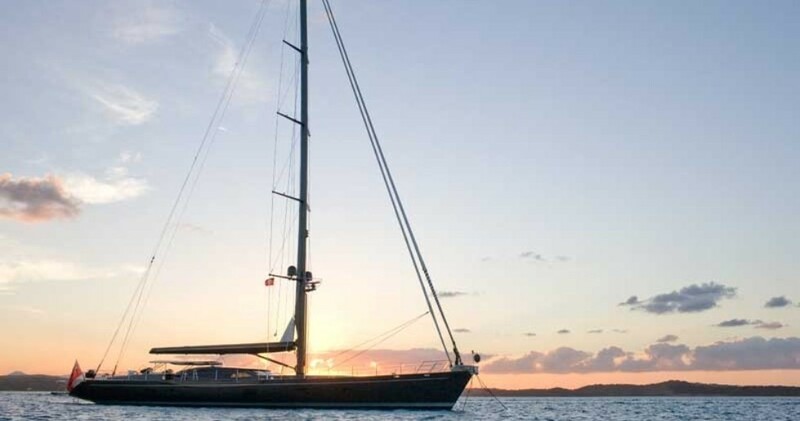 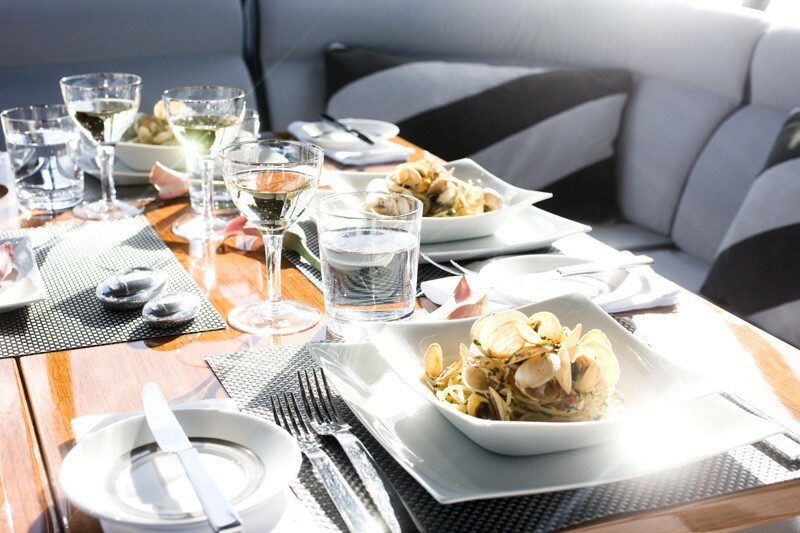 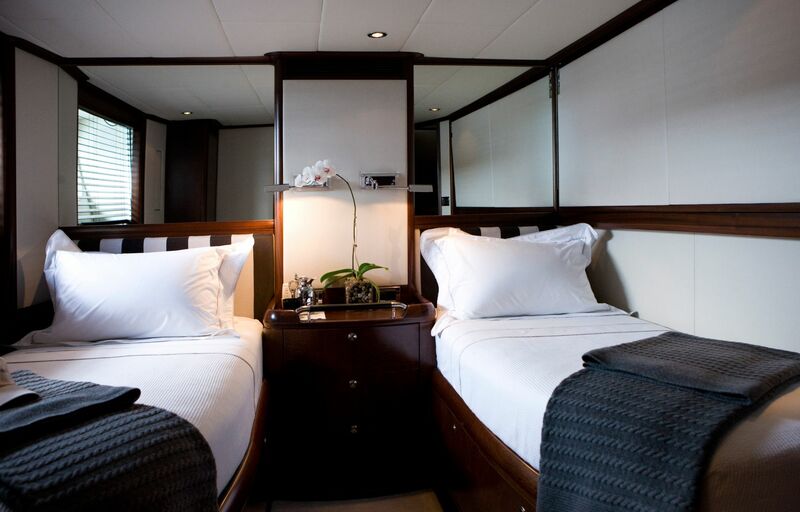 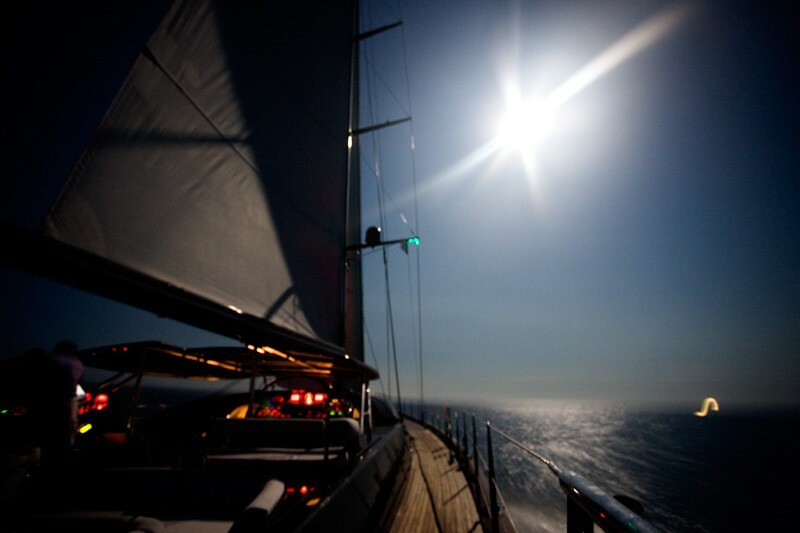 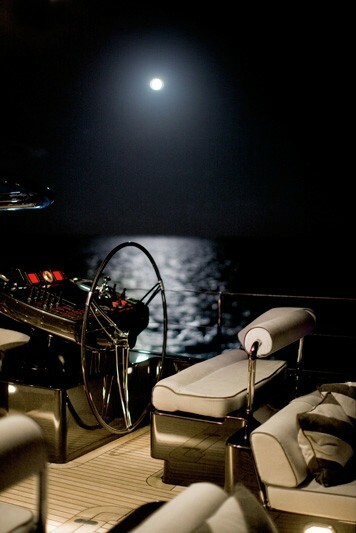 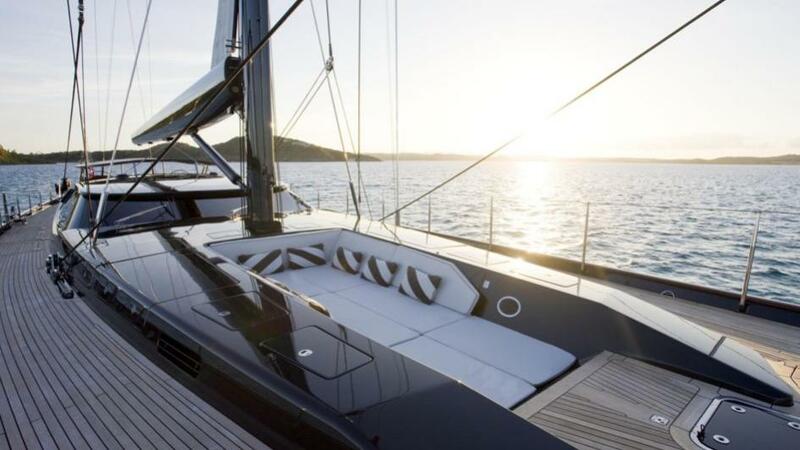 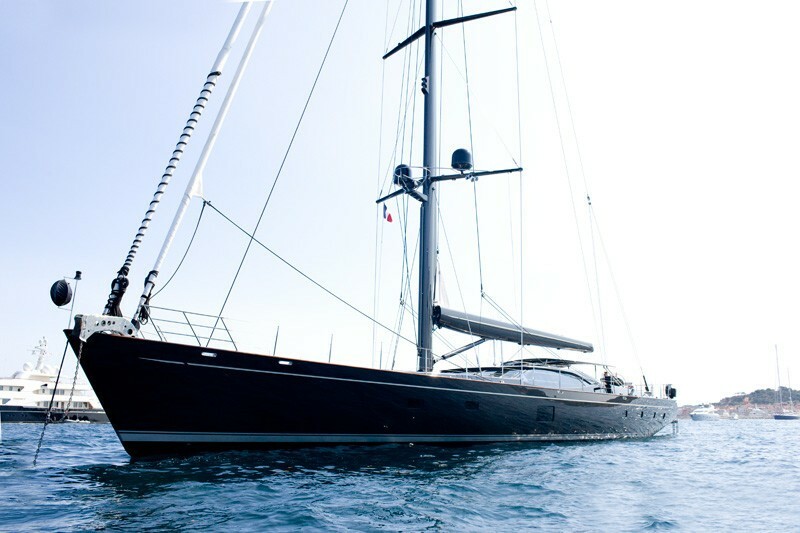 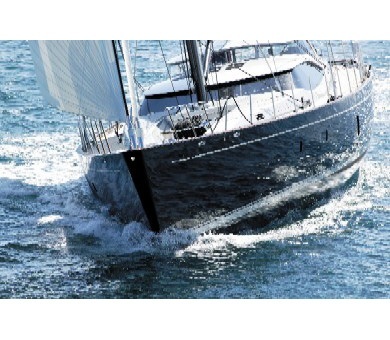 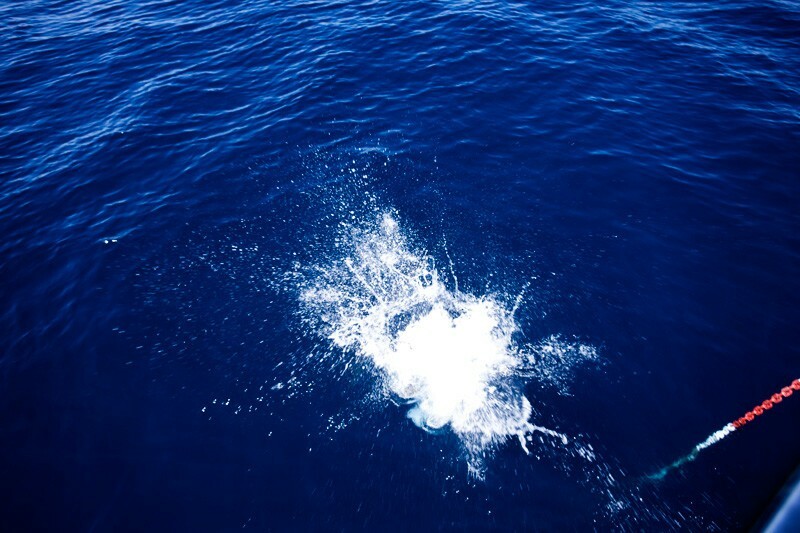 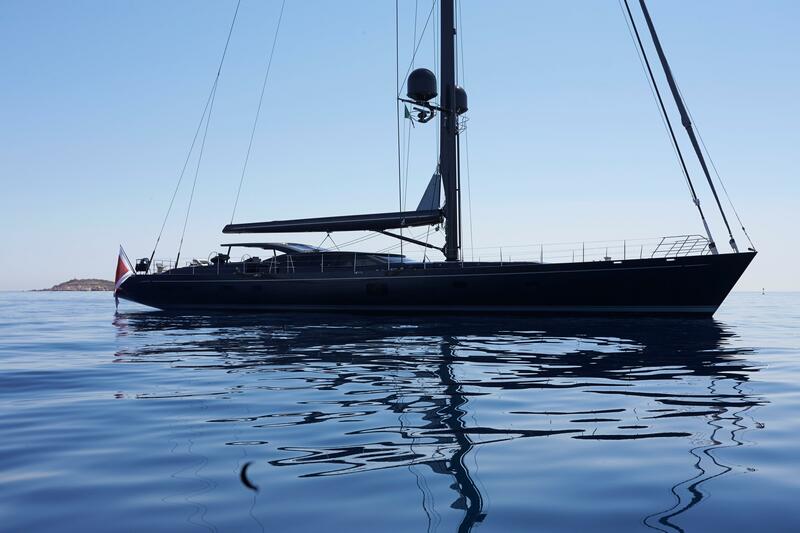 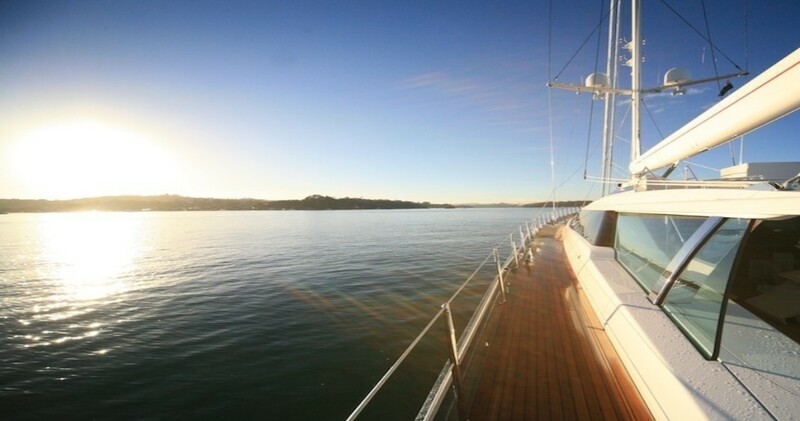 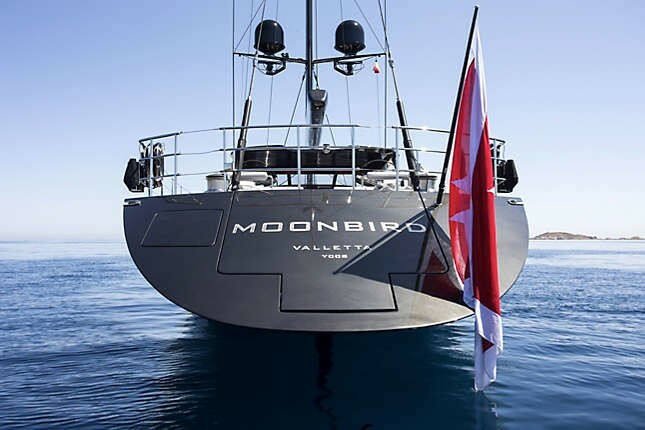 Luxury sailing yacht Moonbird provides the following luxury accommodation for up to 6 charter guests in 3 cabins. 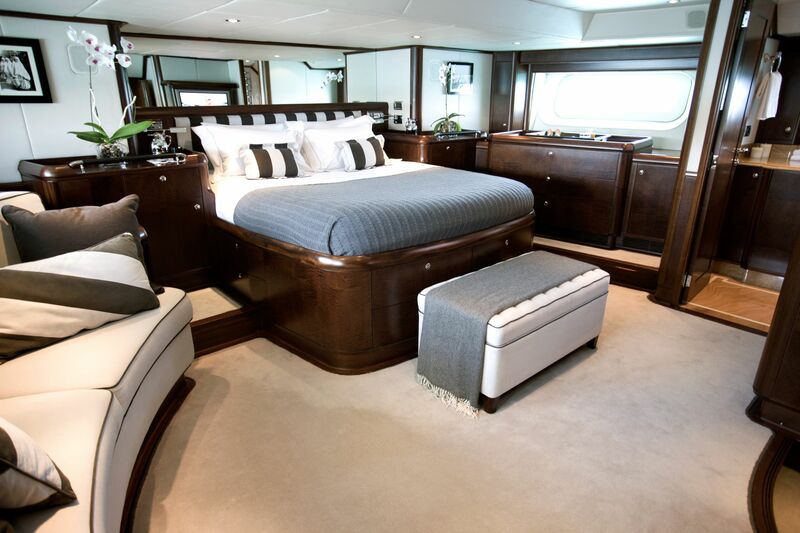 She has an elegant interior by Rhoades Young Design which features polished mahogany timber, exquisite European fabrics, French upholstery and customised carpets. 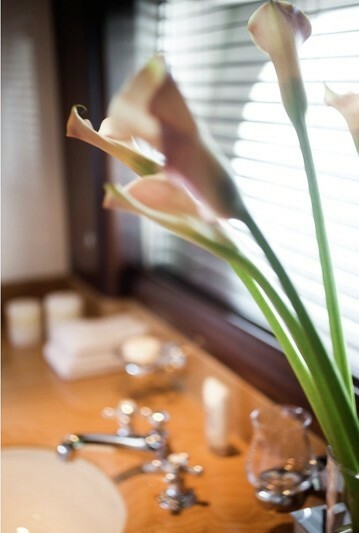 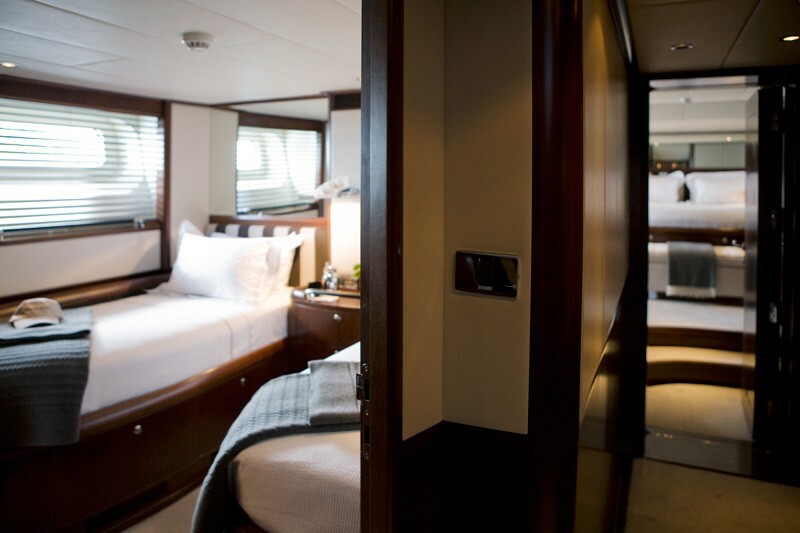 The master cabin is full width with en-suite marble shower room. 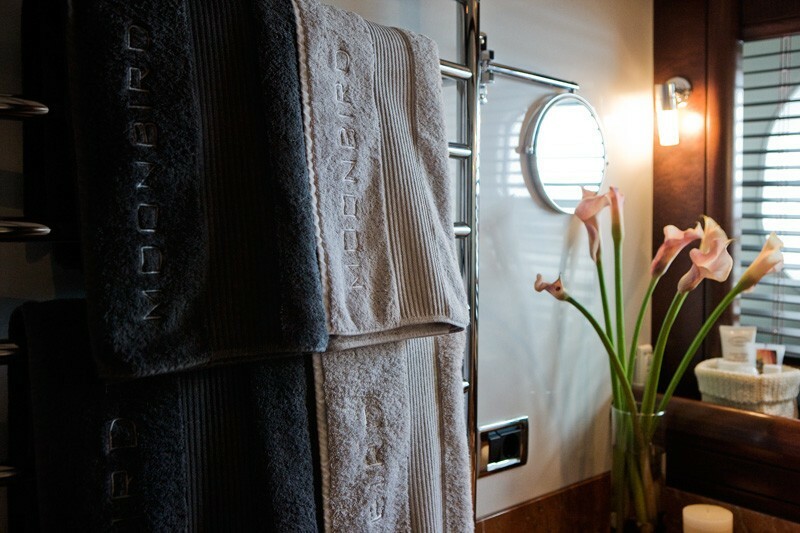 The two twin guest cabins, with pullman berths (suitable for children) each have en-suite shower rooms. 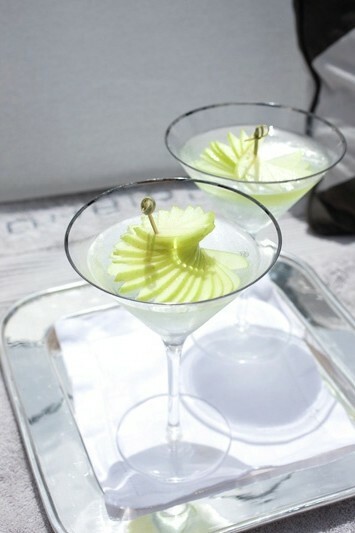 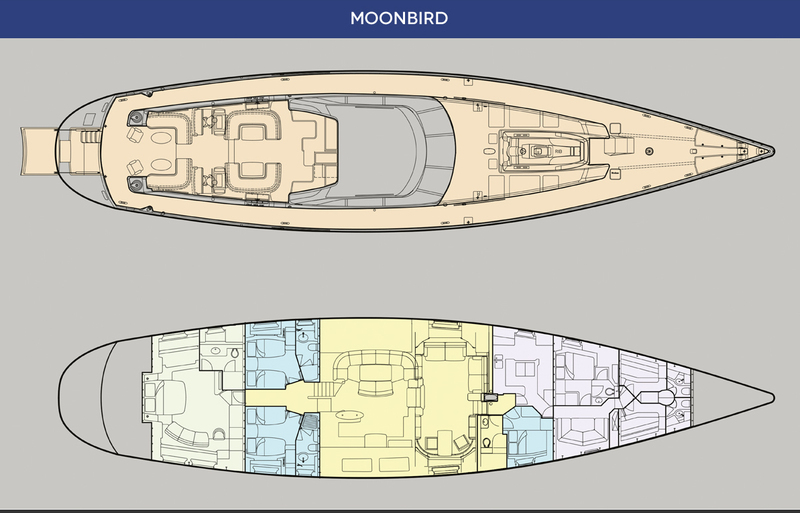 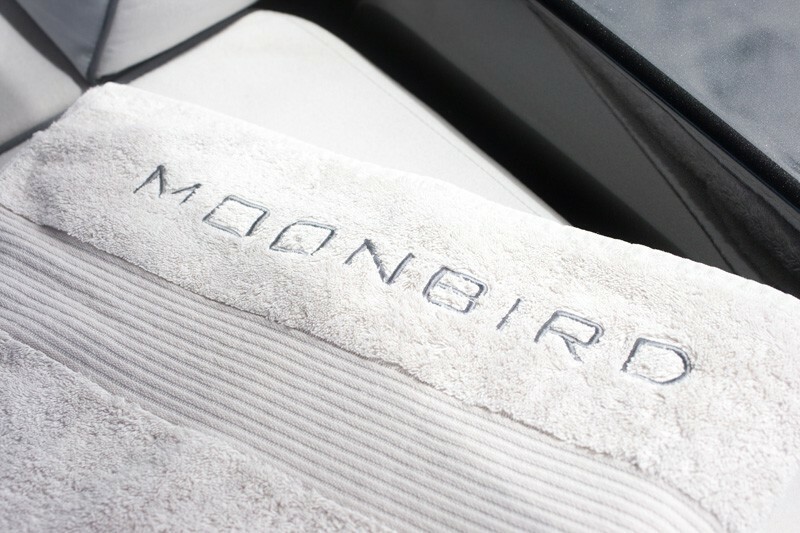 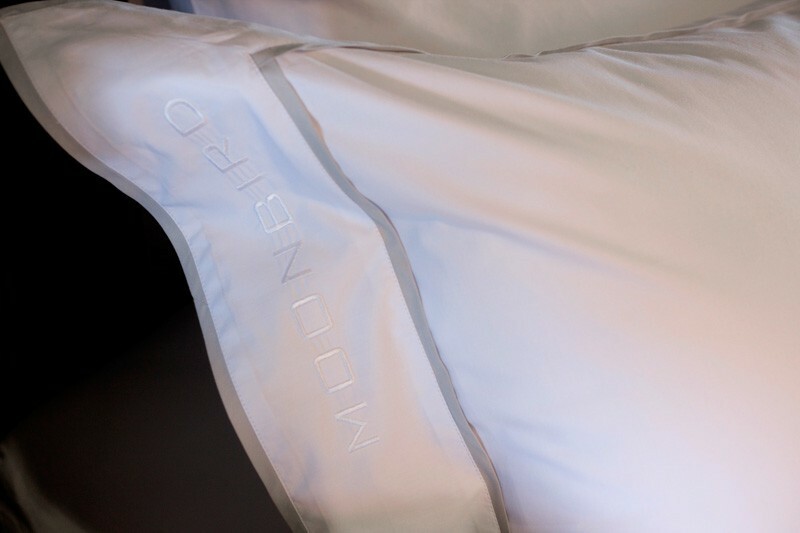 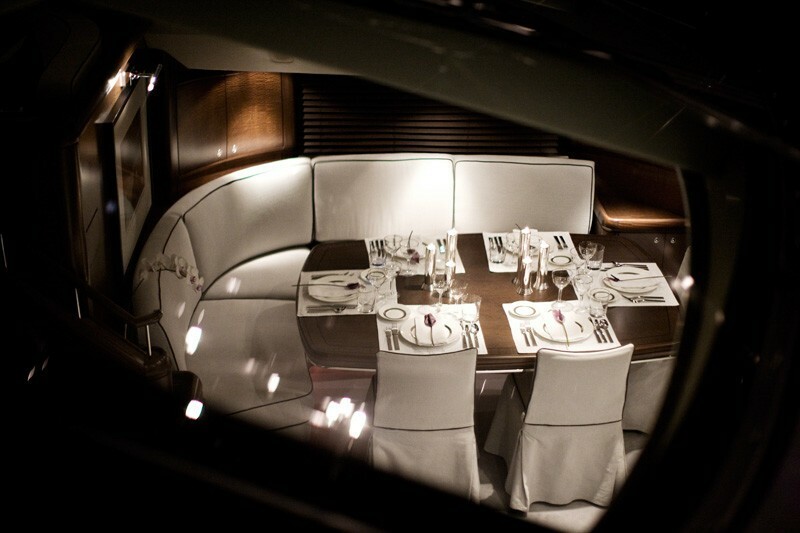 MOONBIRD can accommodate 8 guests only if two are small children - otherwise she's very comfortable for 6. 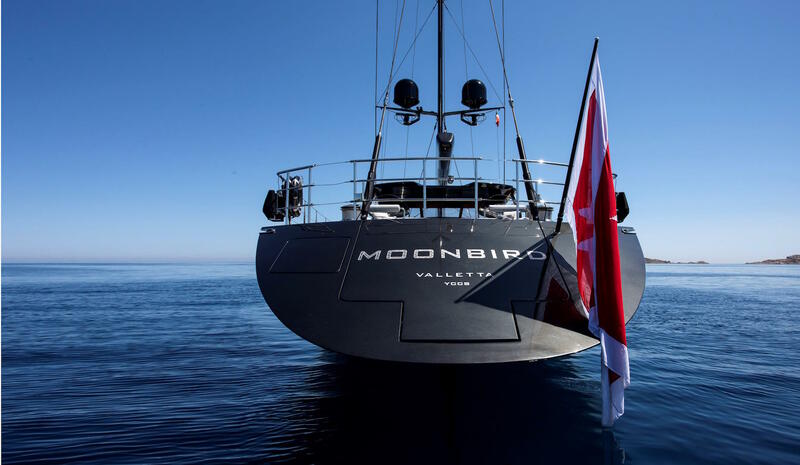 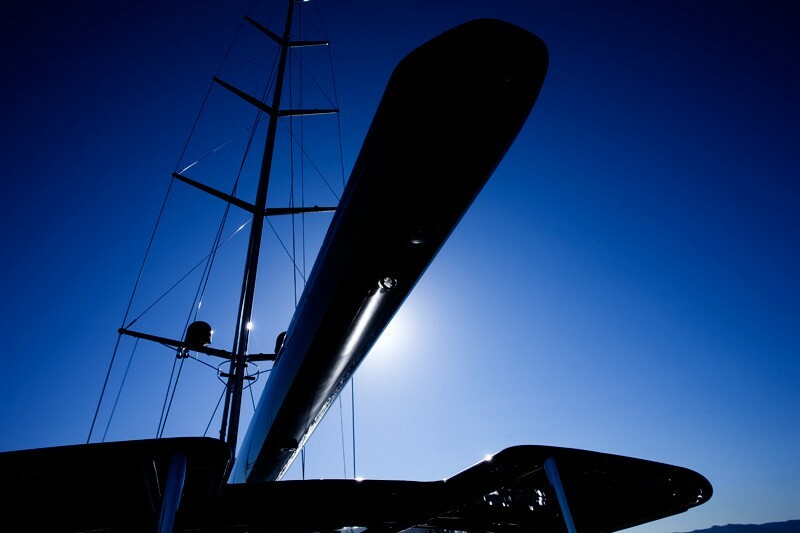 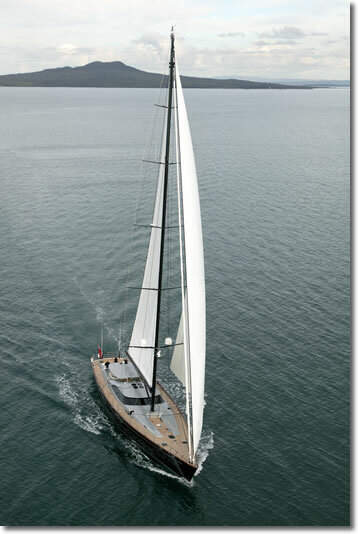 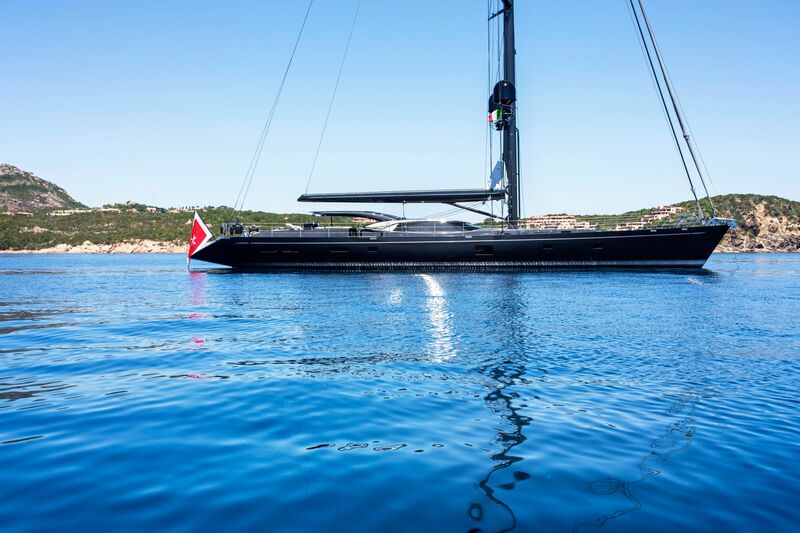 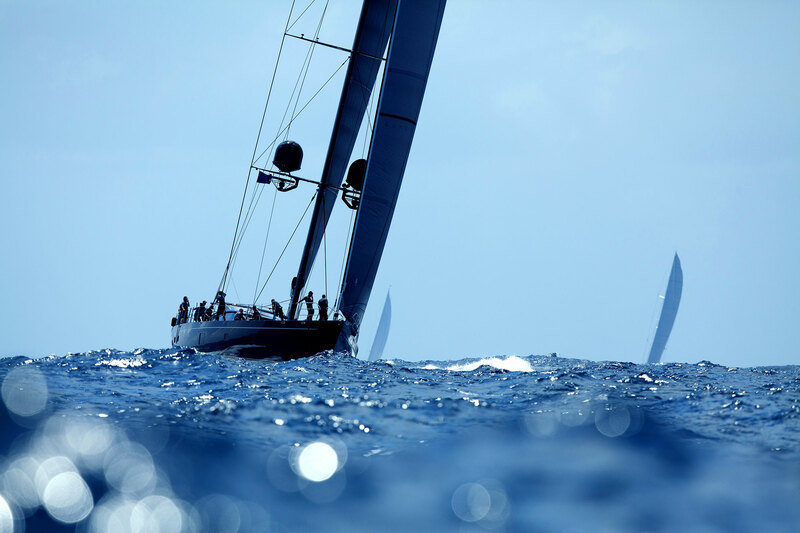 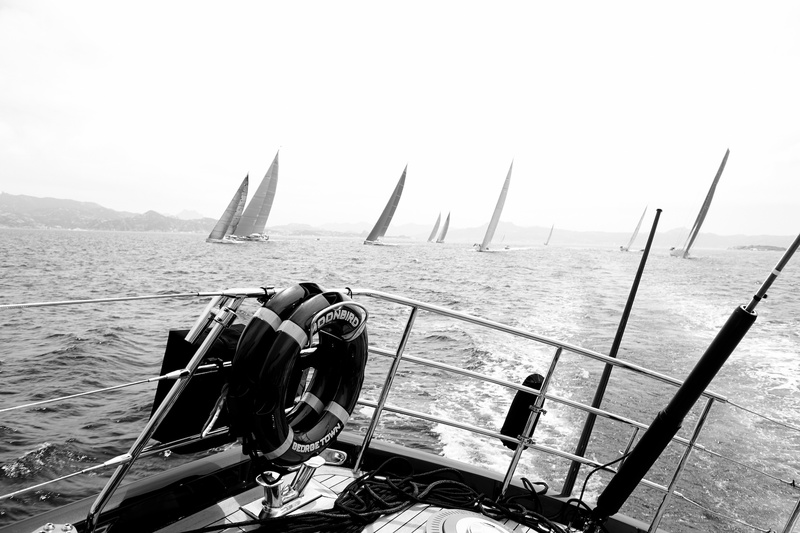 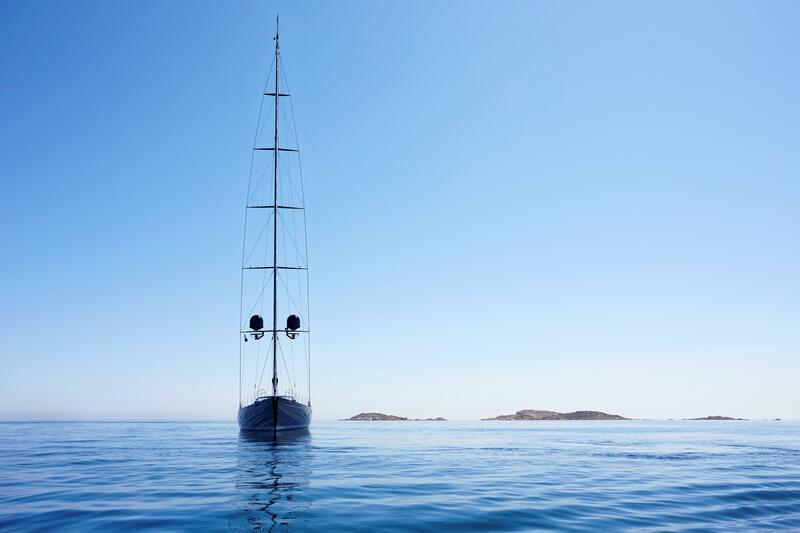 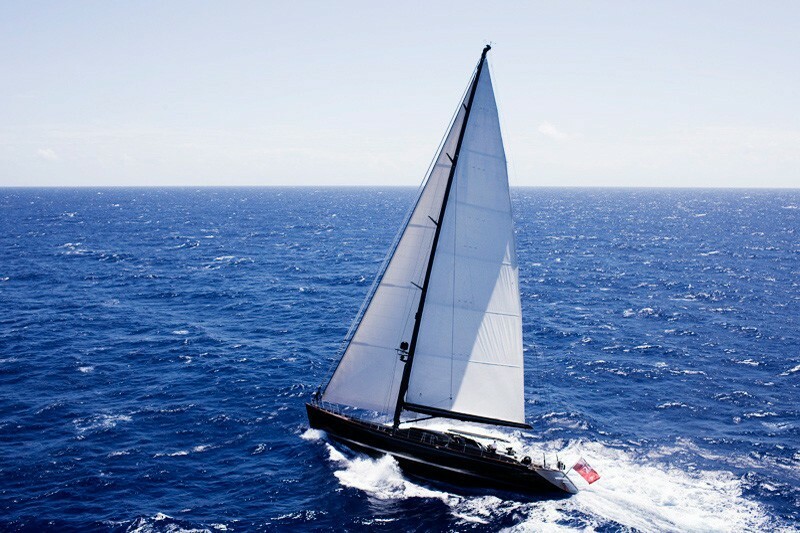 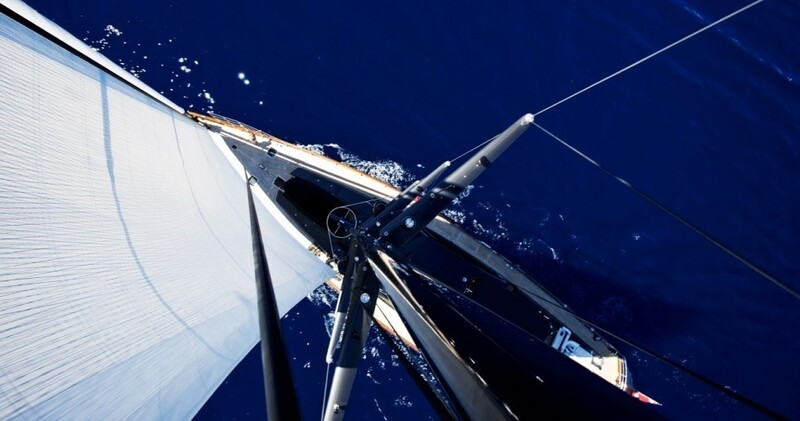 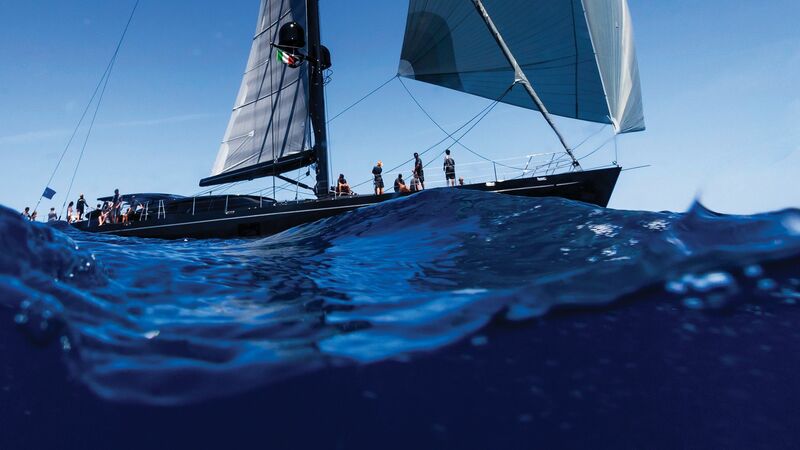 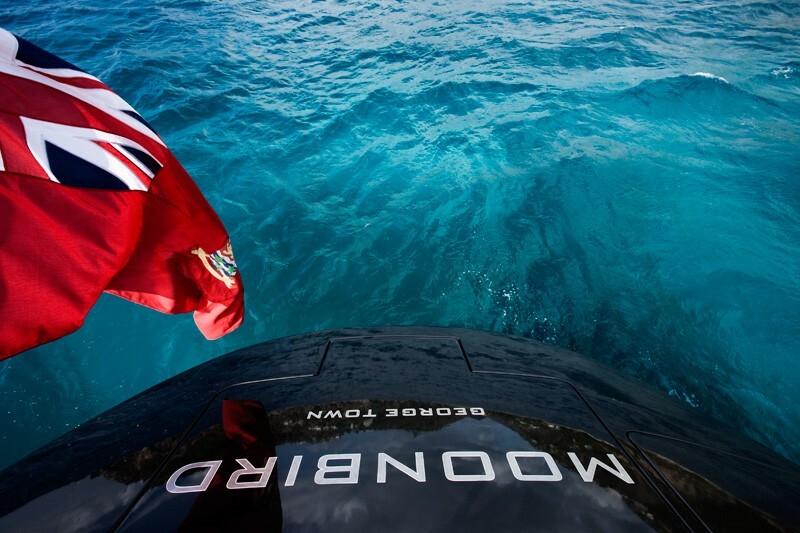 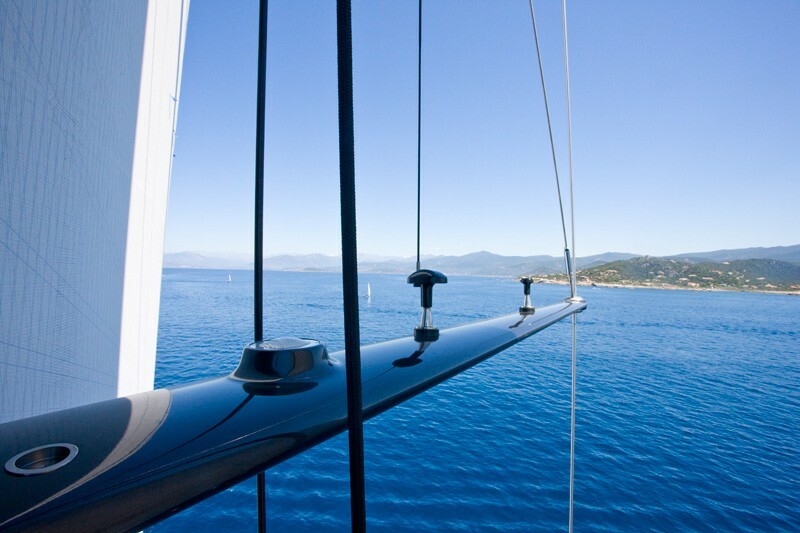 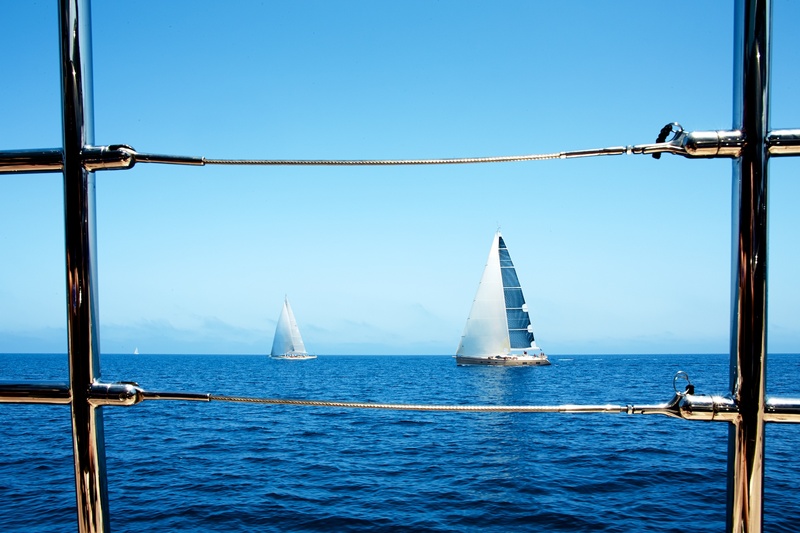 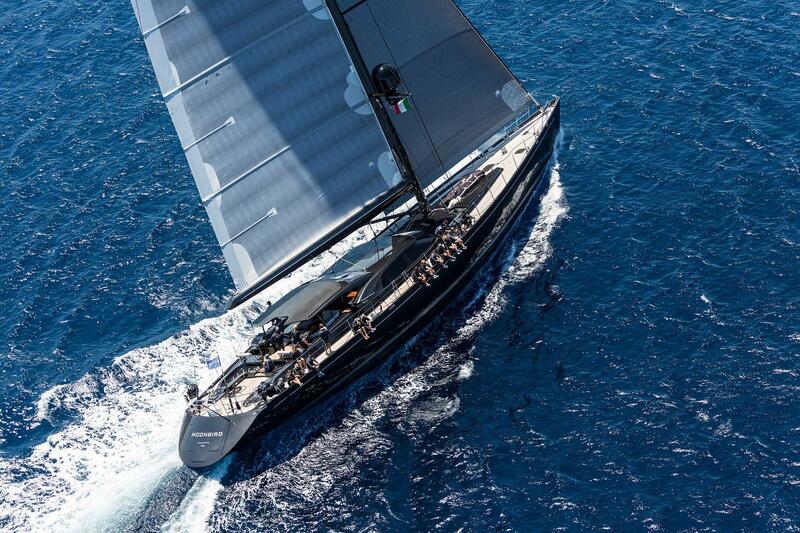 Luxury sailing yacht MOONBIRD is equipped with a Nautica Jet tender, water skis, donuts, a Banana and a Kayak. 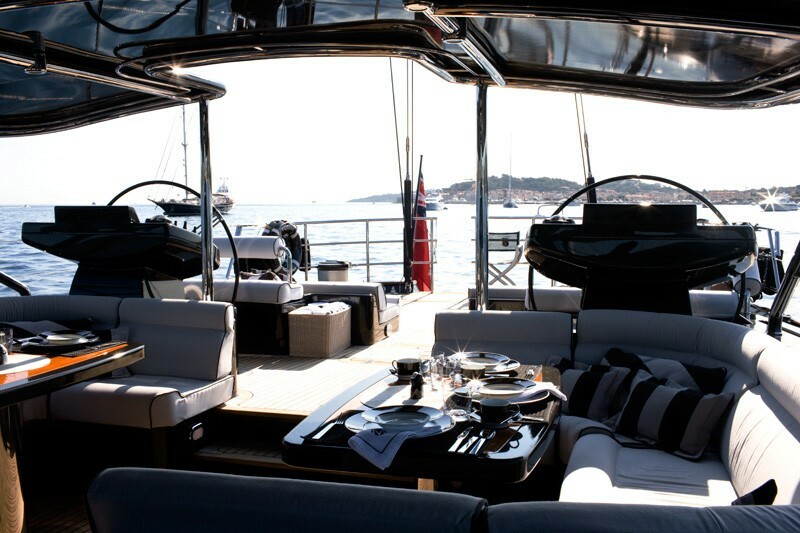 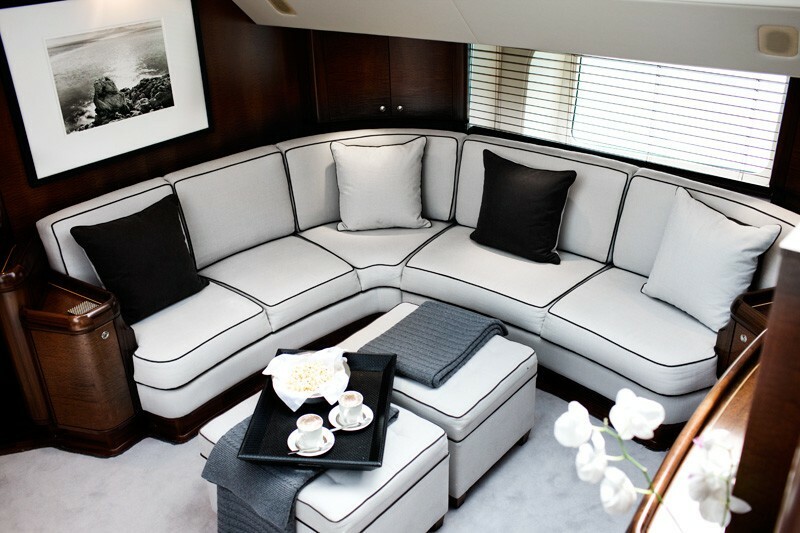 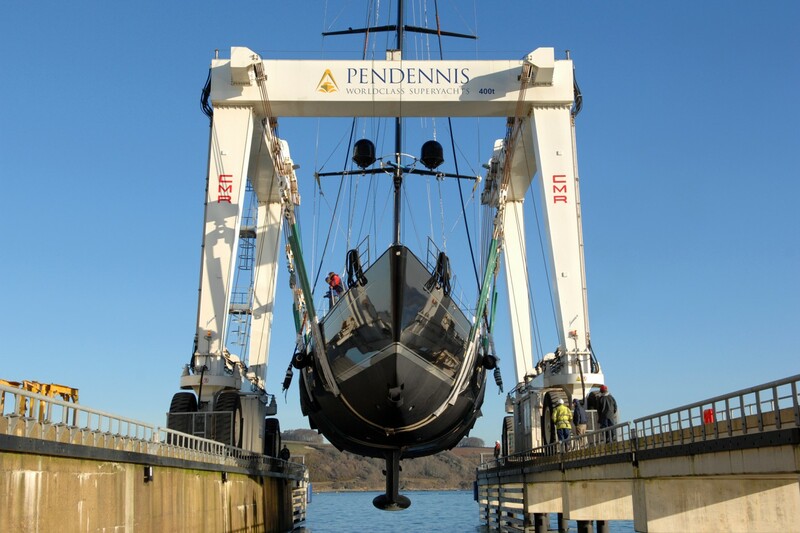 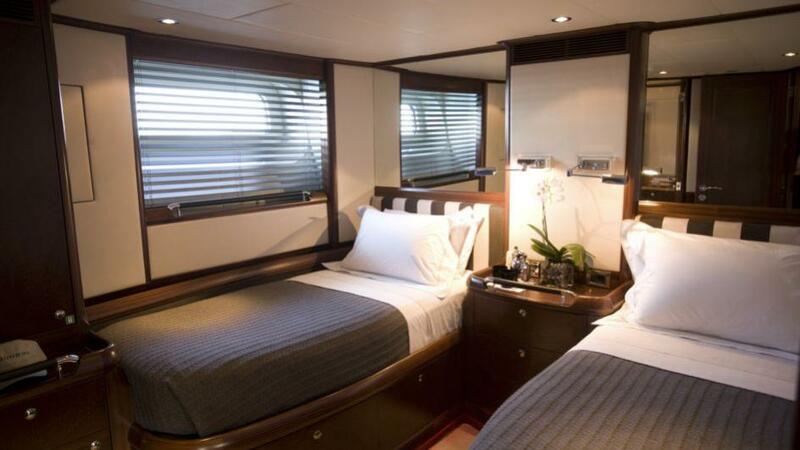 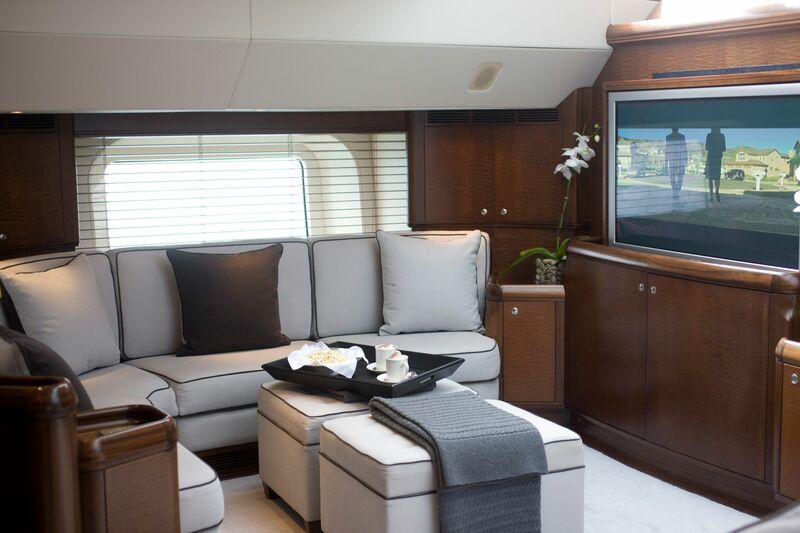 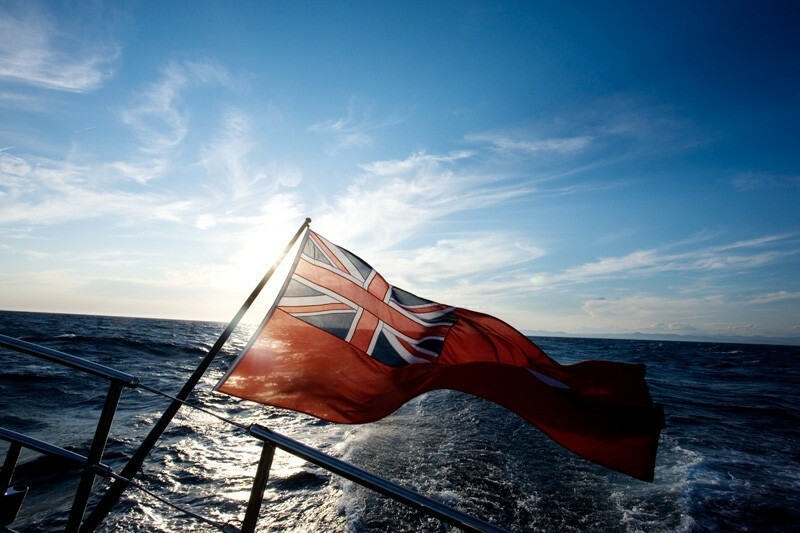 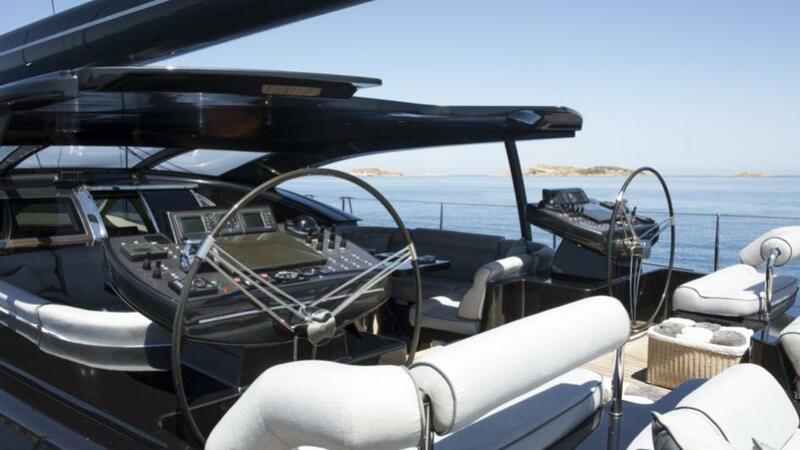 She also has an extensive range of televisions, DVD and audio equipment throughout the vessel including surround sound and cockpit and deck speakers.